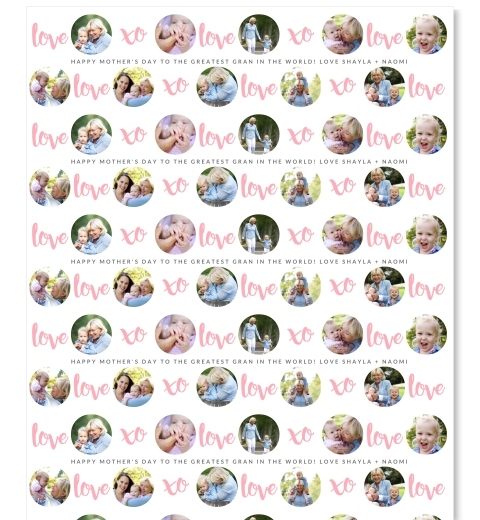 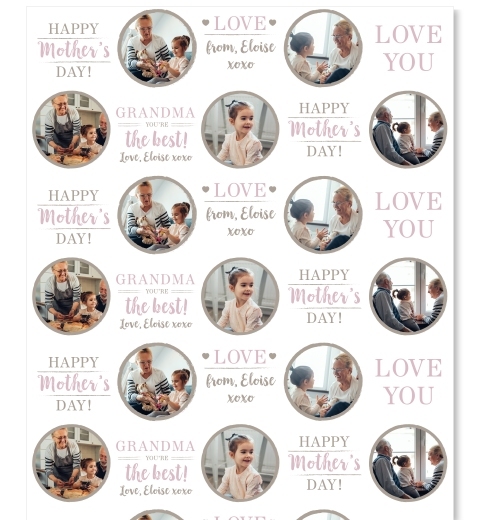 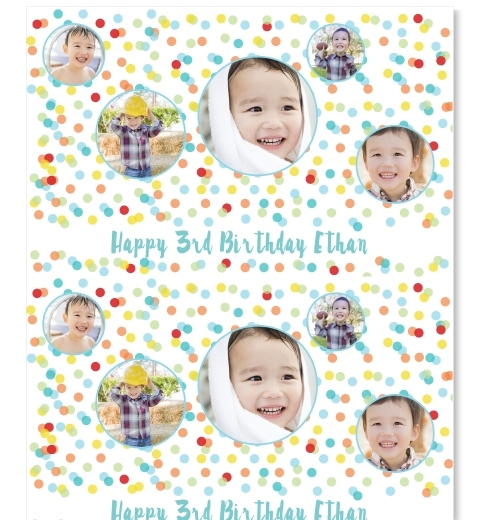 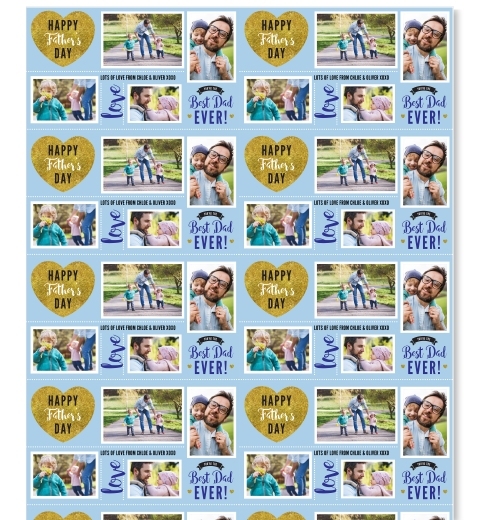 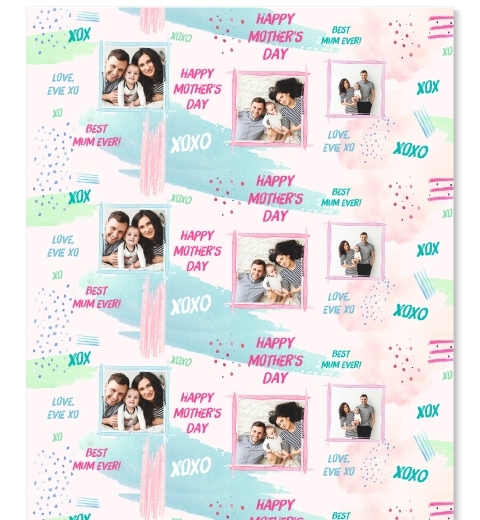 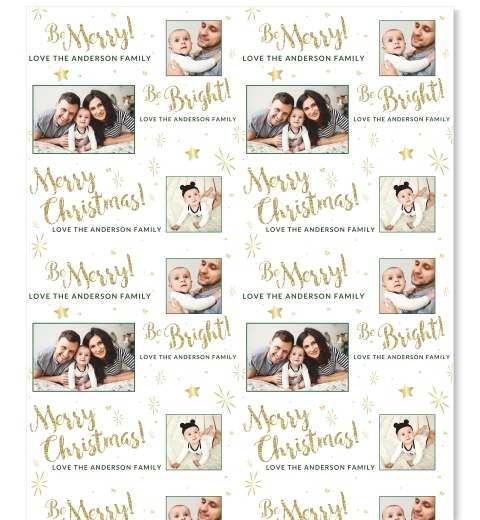 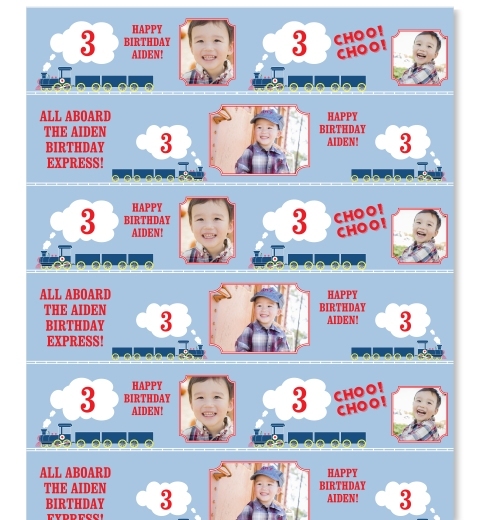 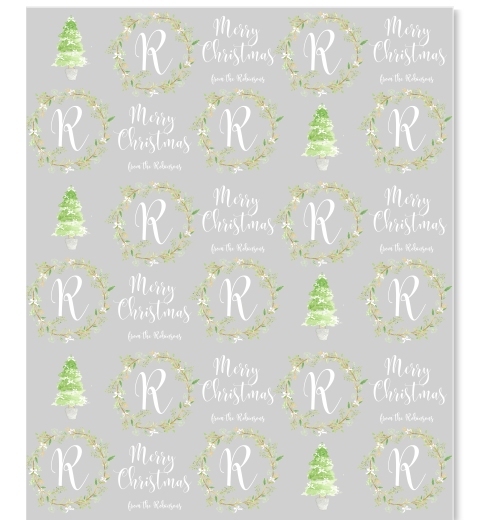 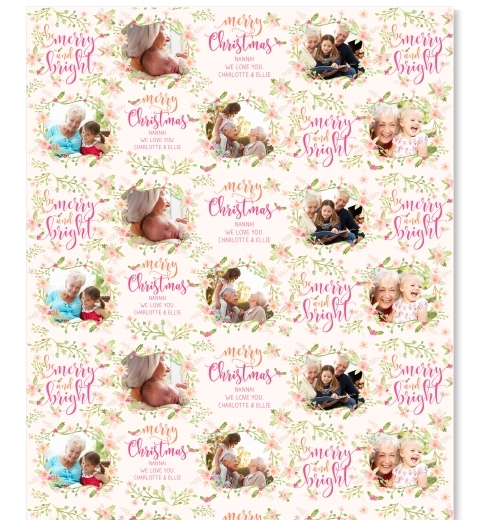 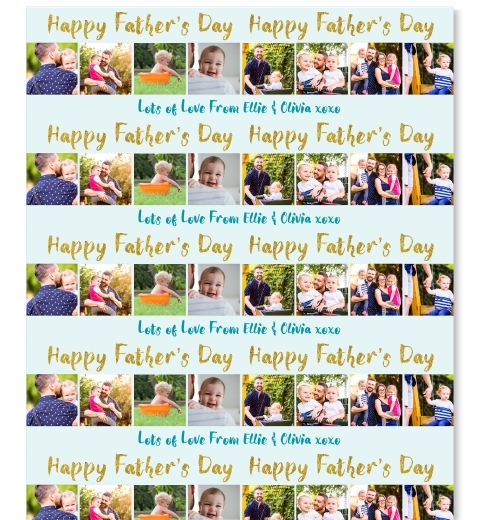 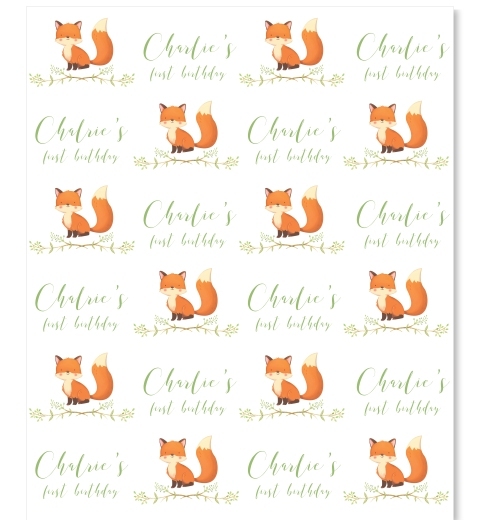 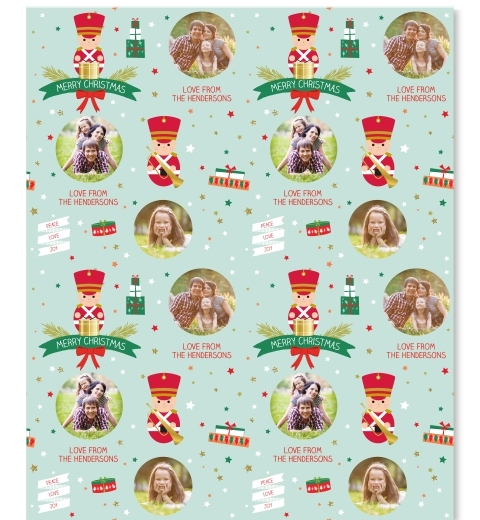 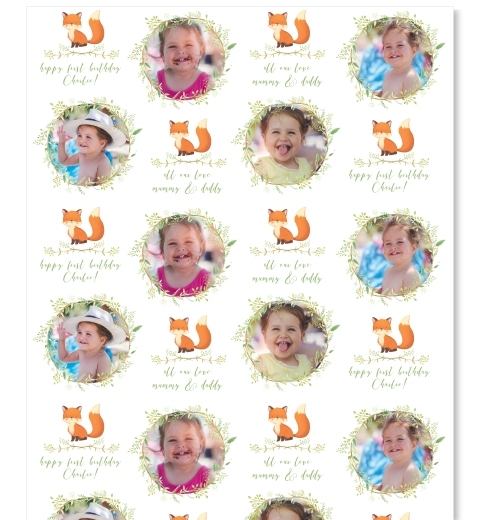 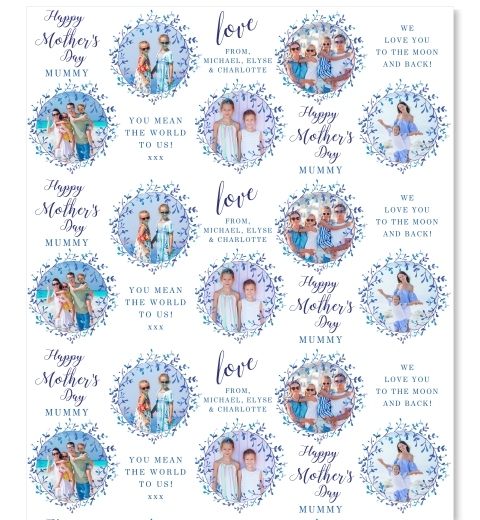 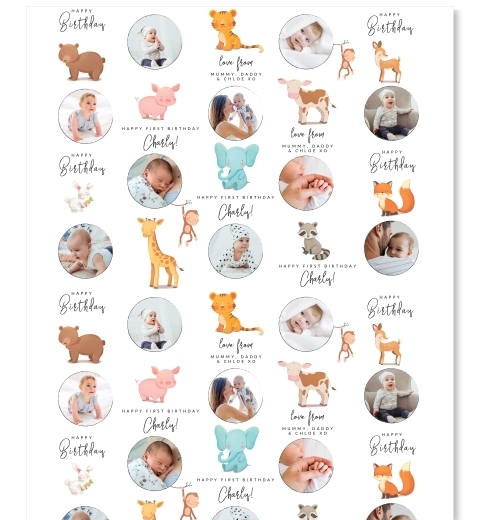 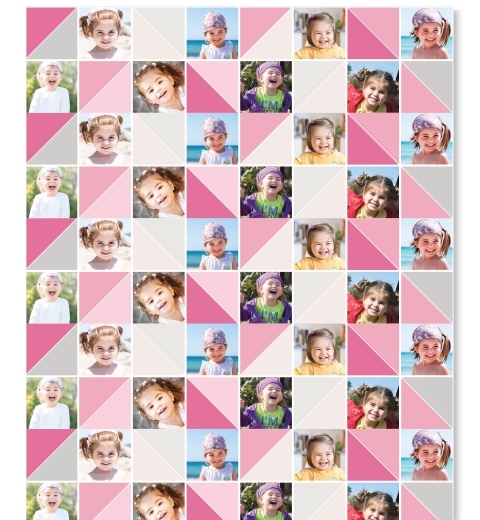 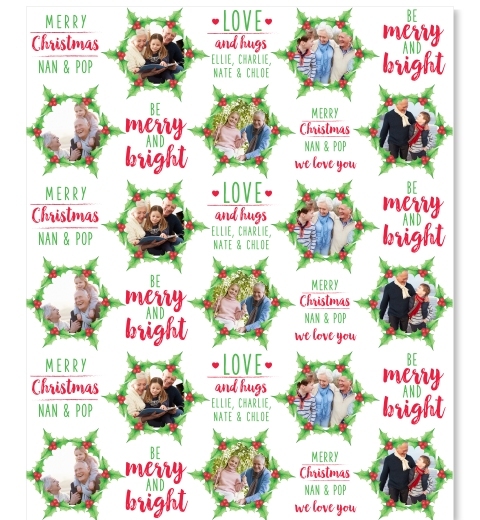 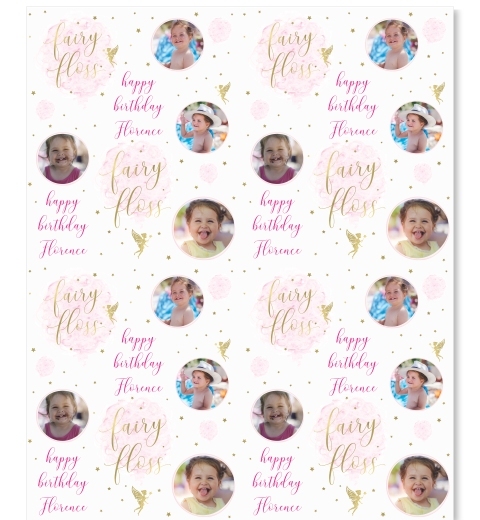 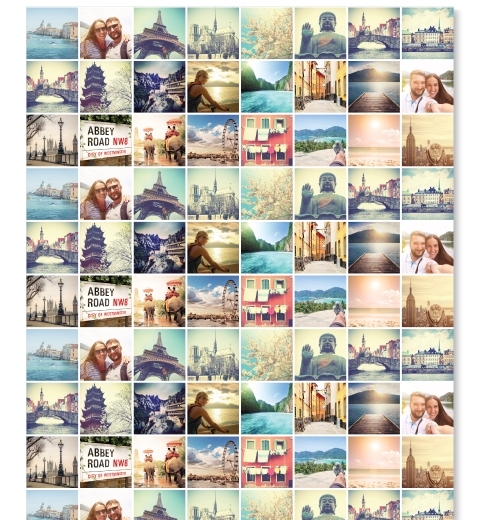 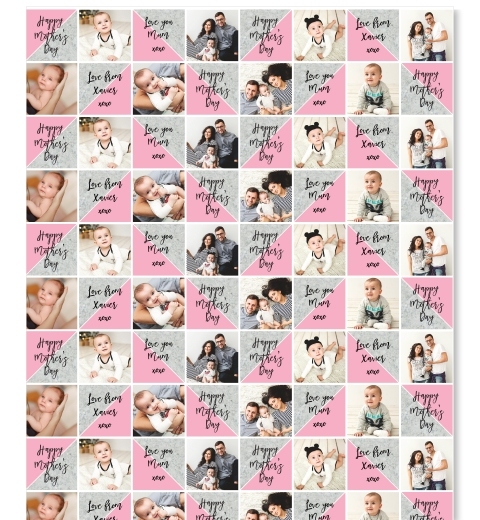 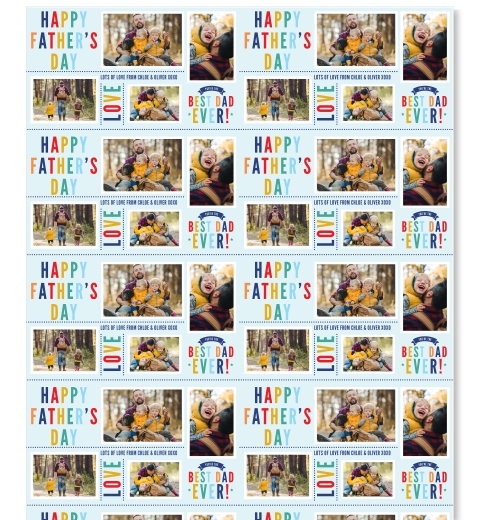 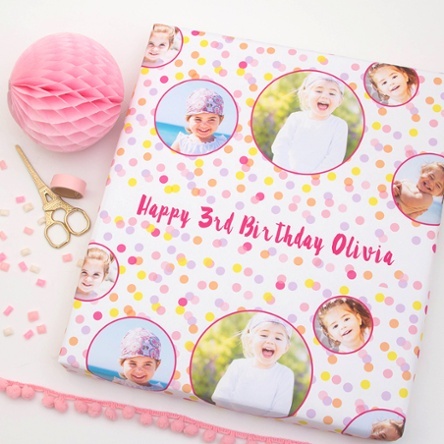 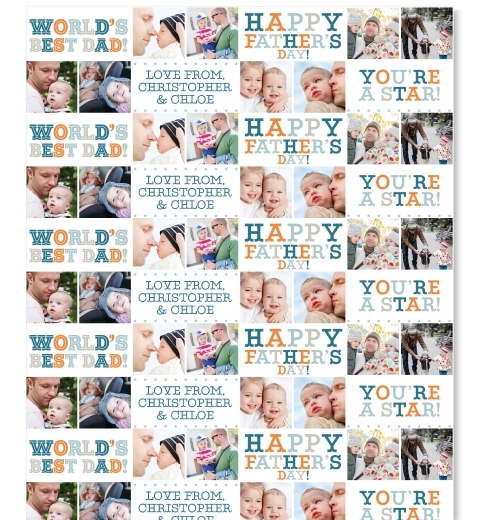 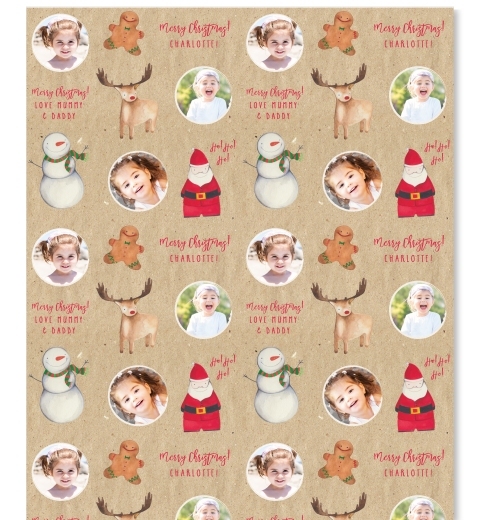 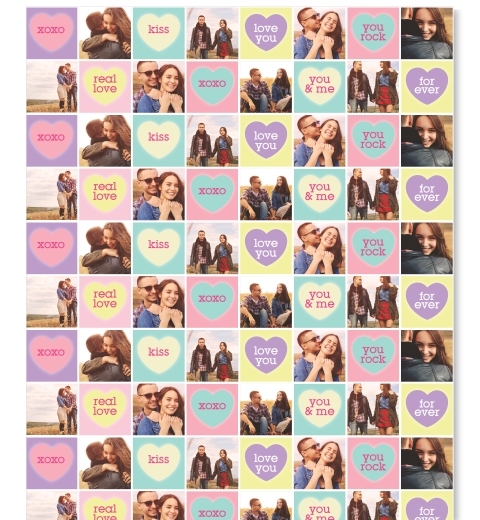 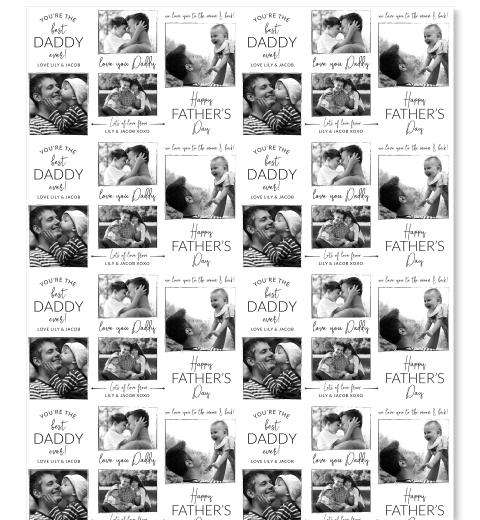 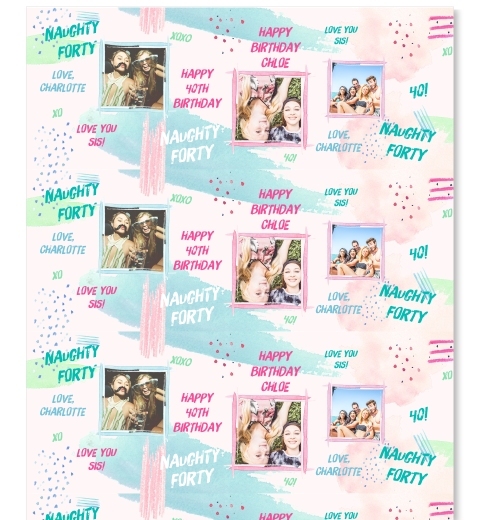 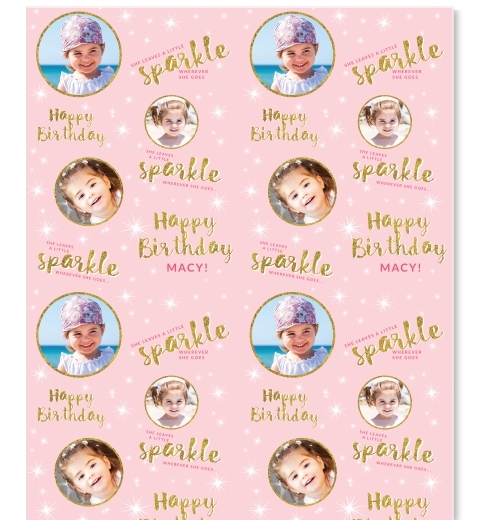 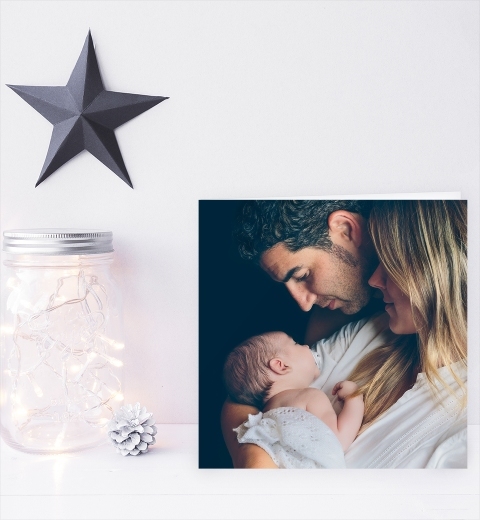 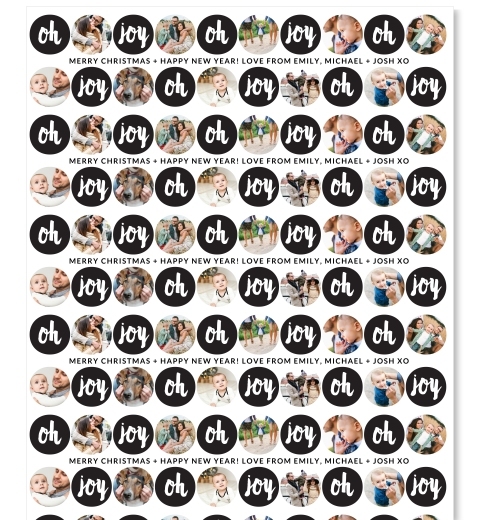 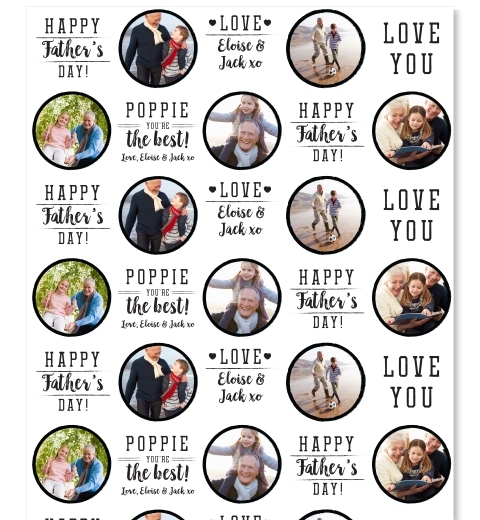 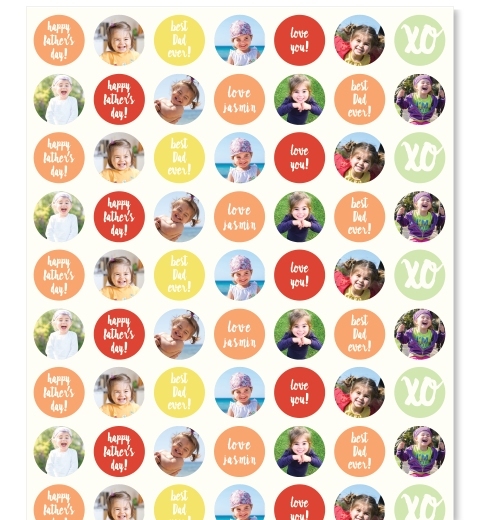 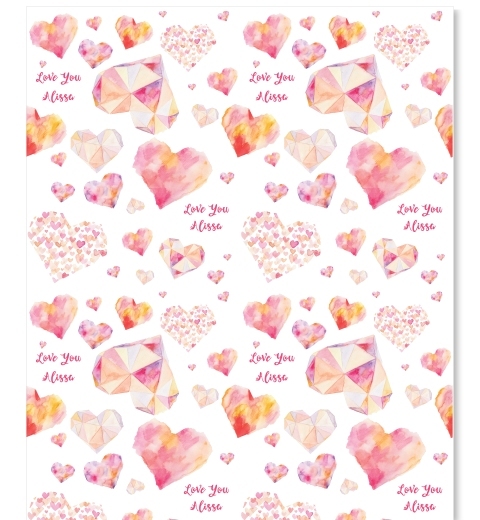 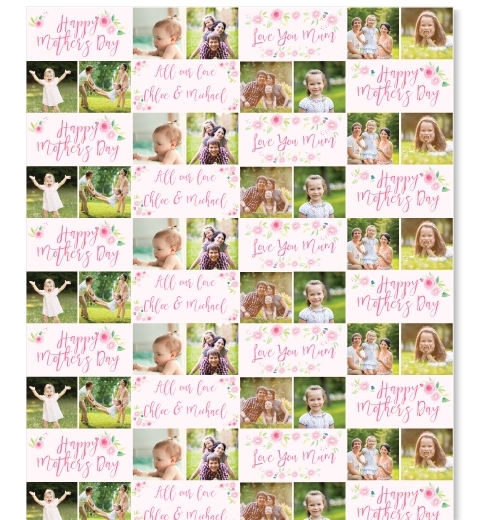 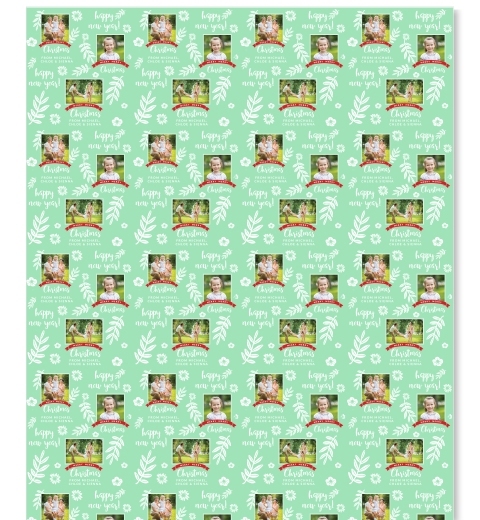 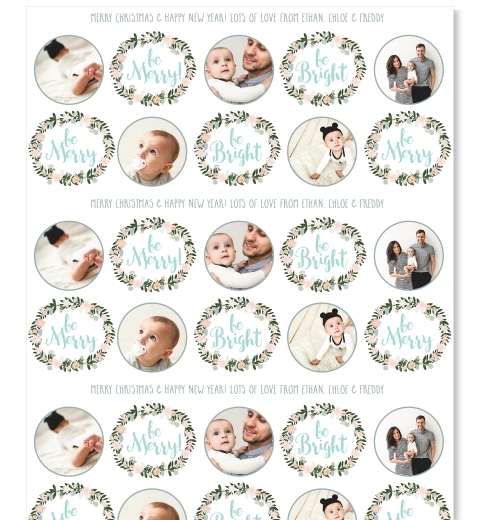 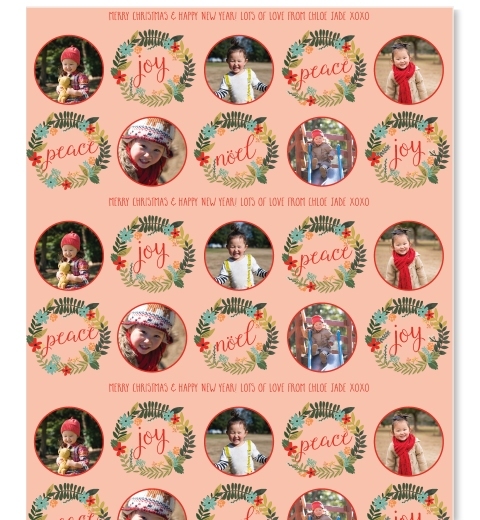 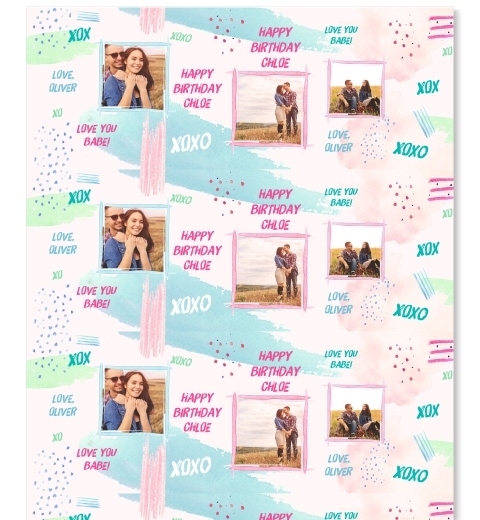 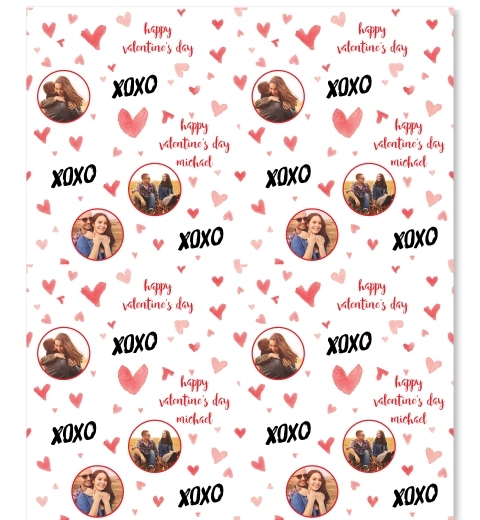 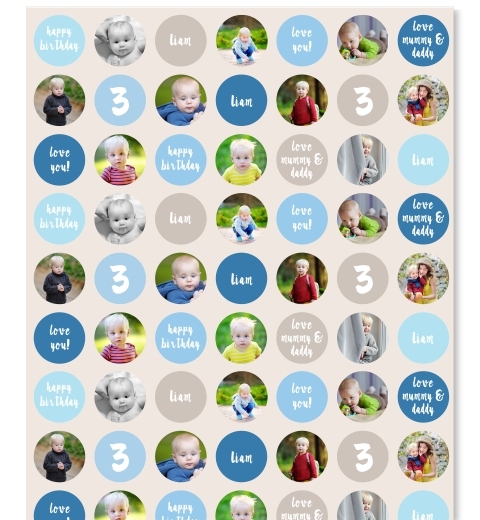 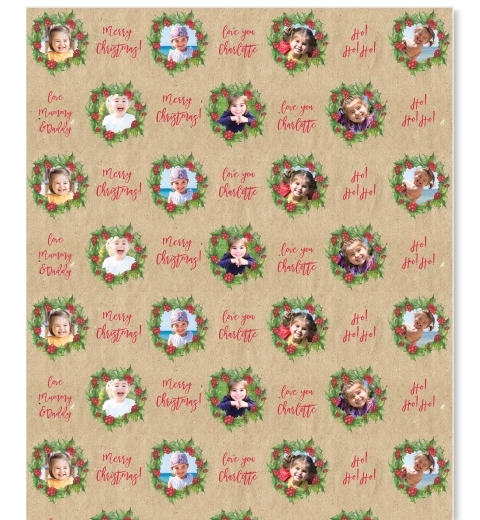 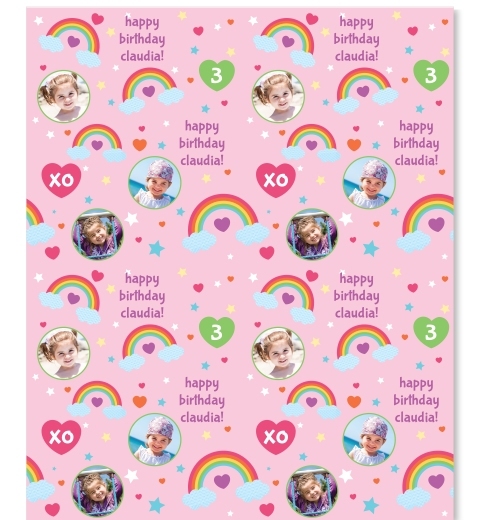 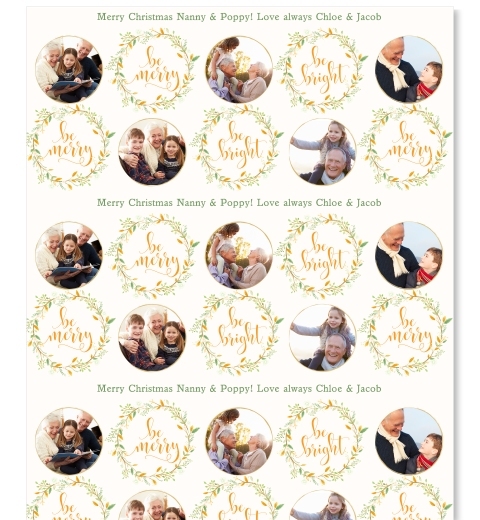 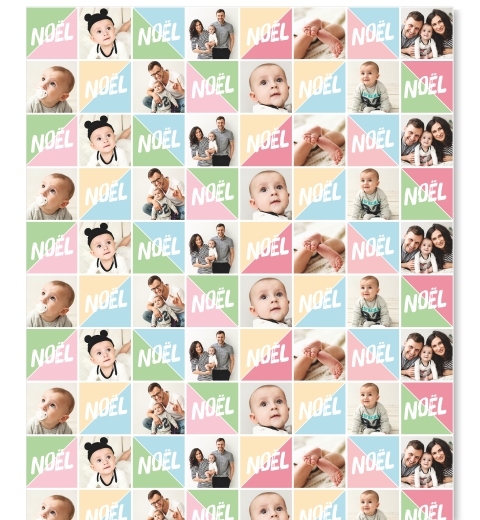 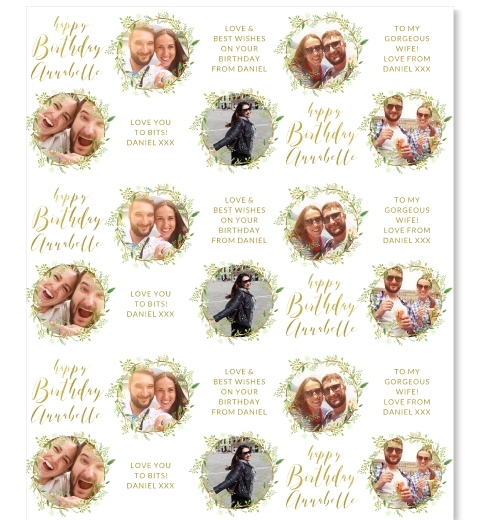 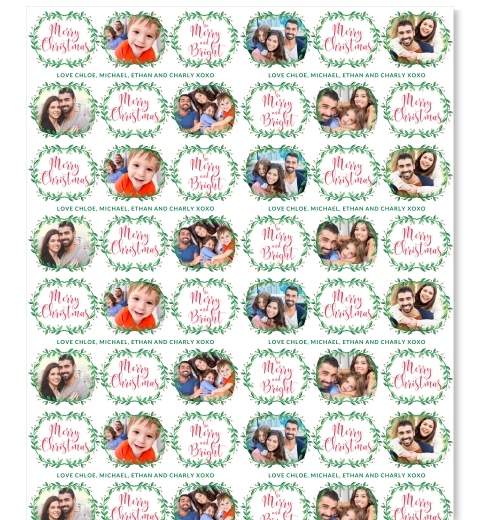 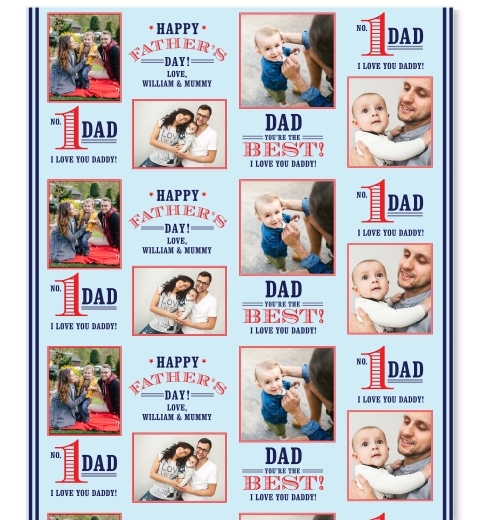 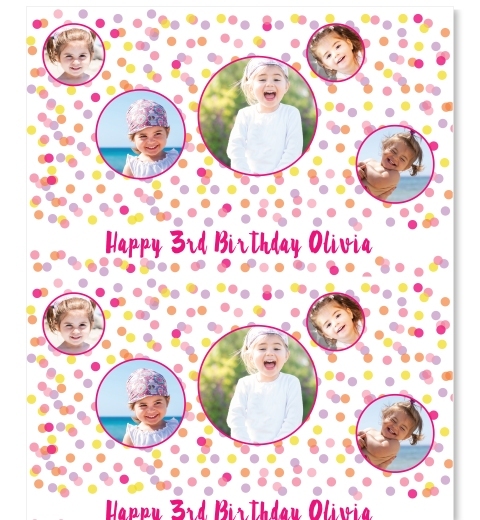 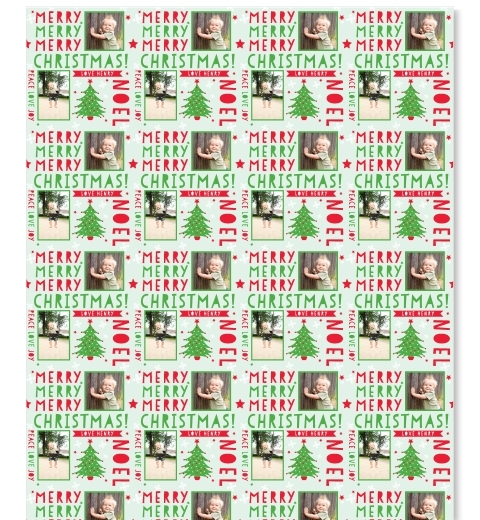 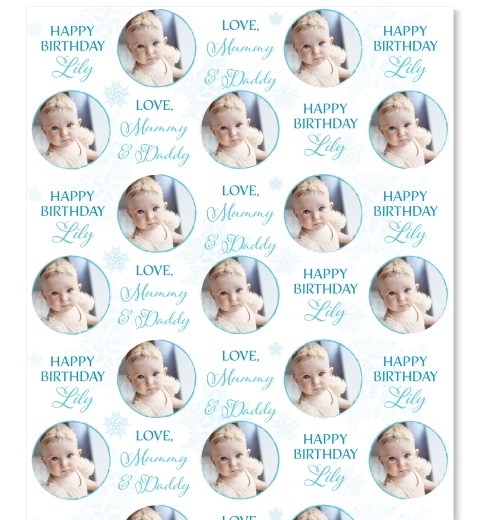 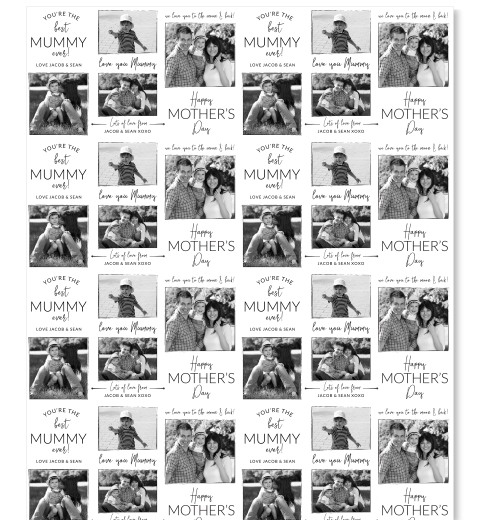 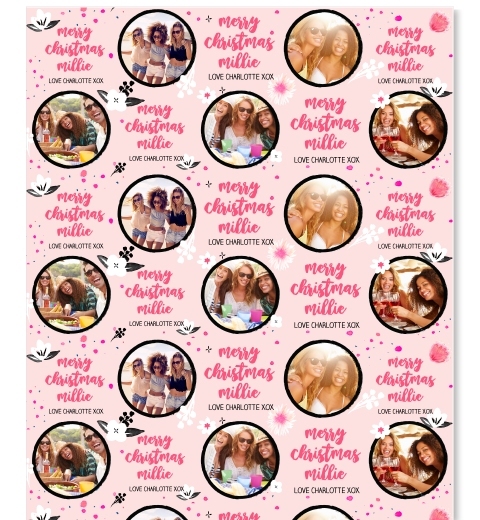 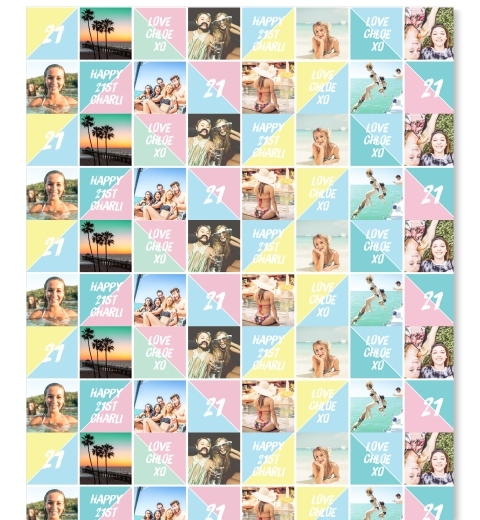 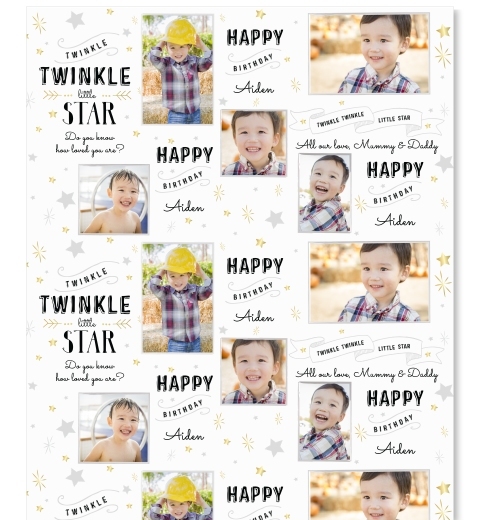 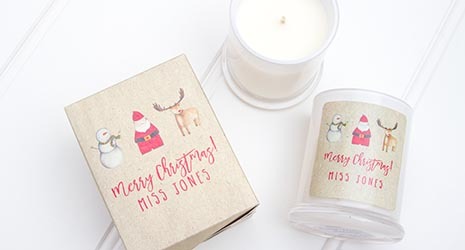 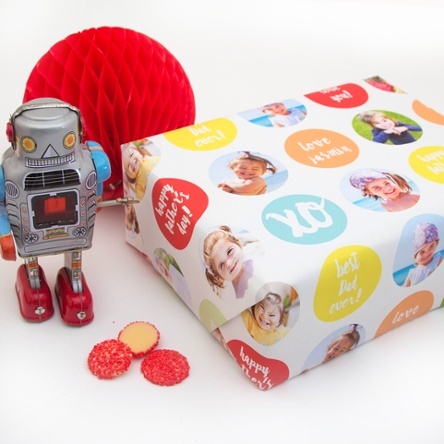 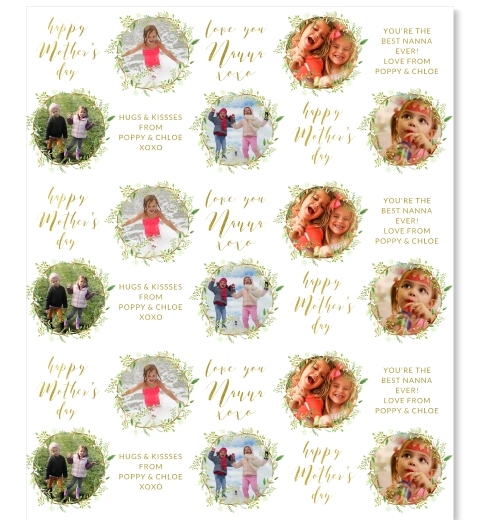 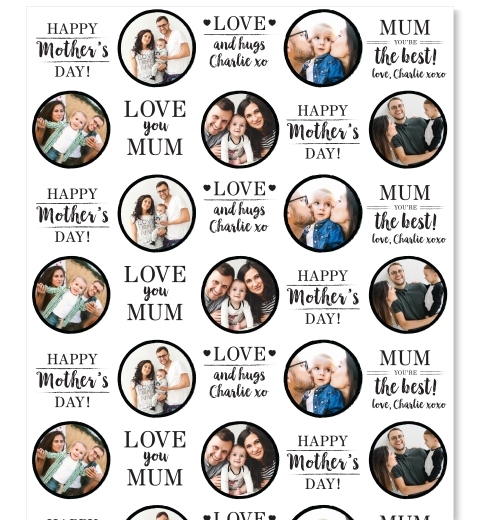 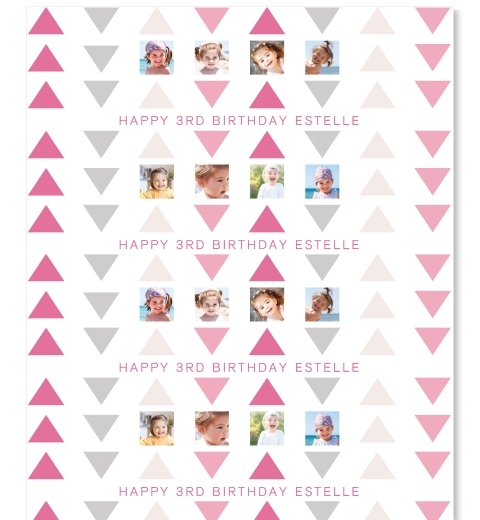 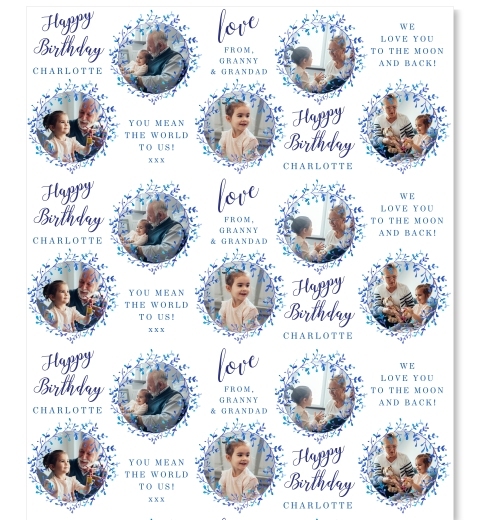 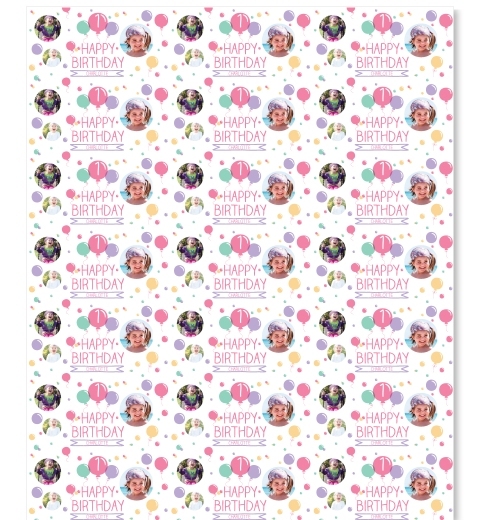 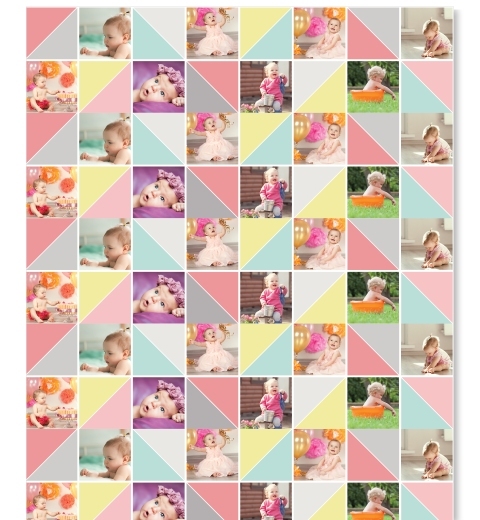 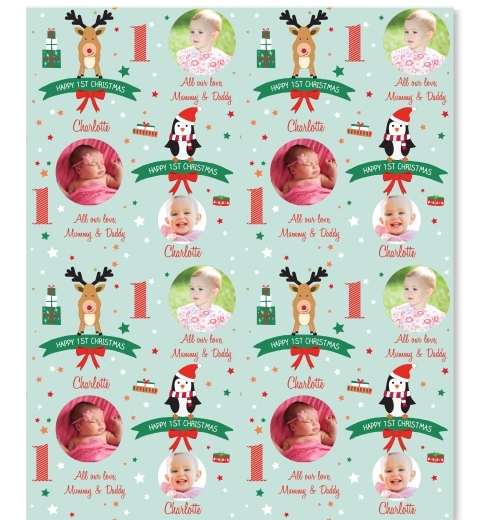 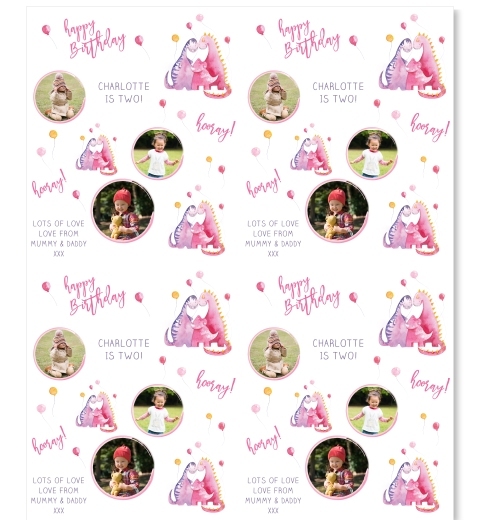 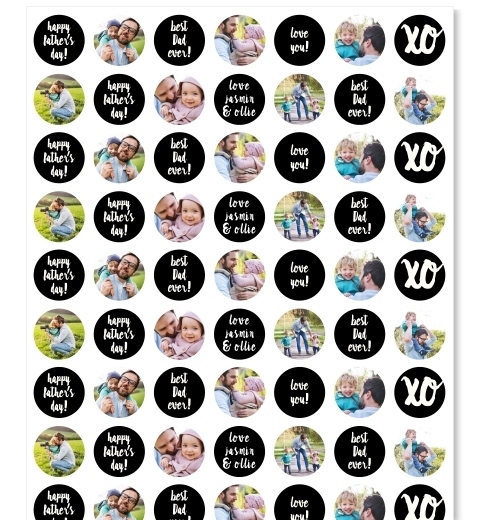 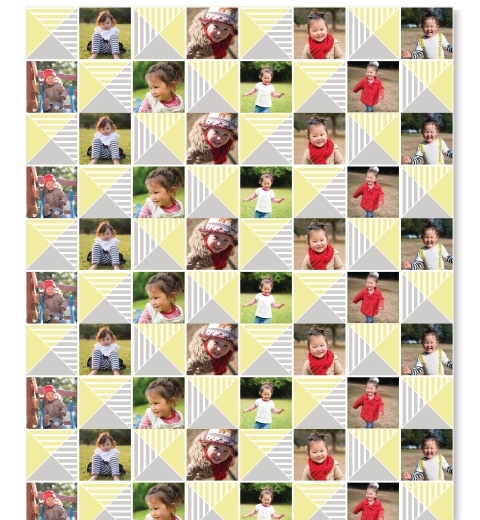 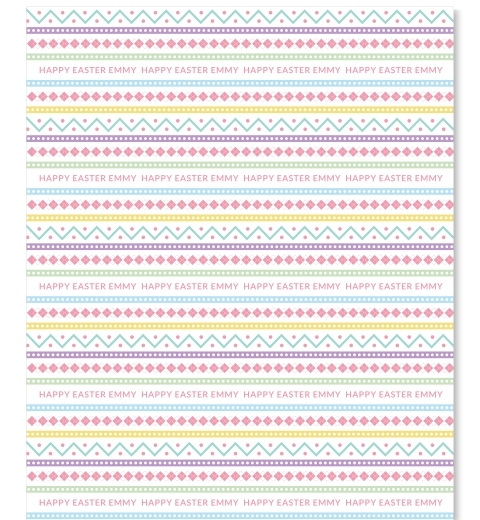 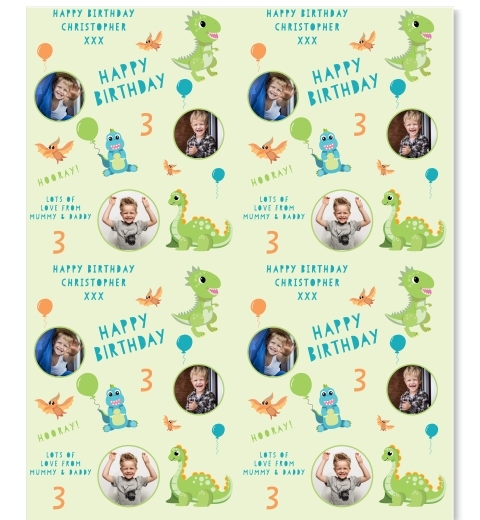 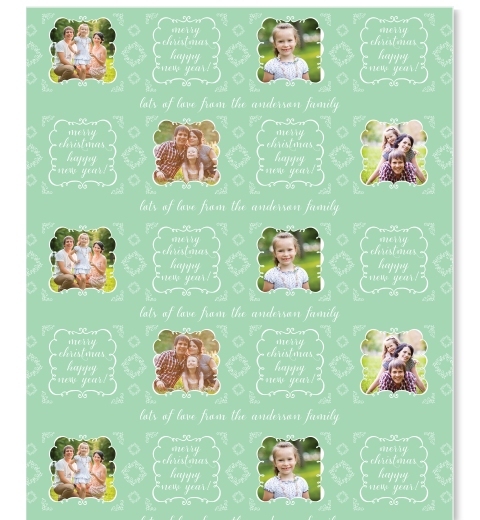 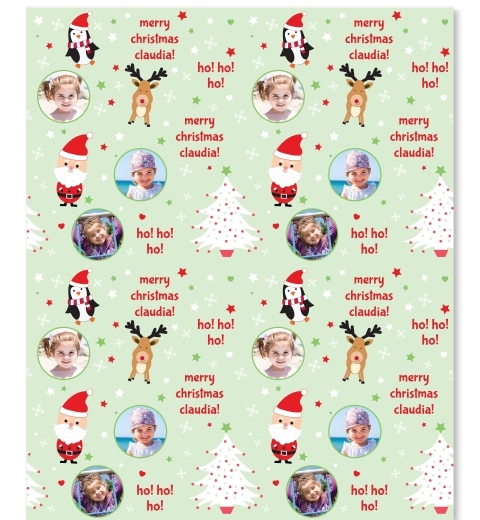 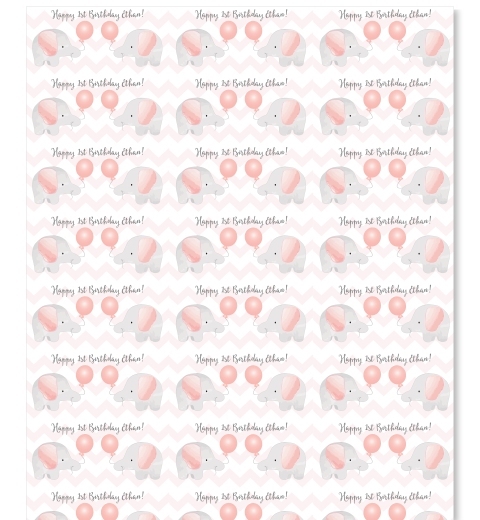 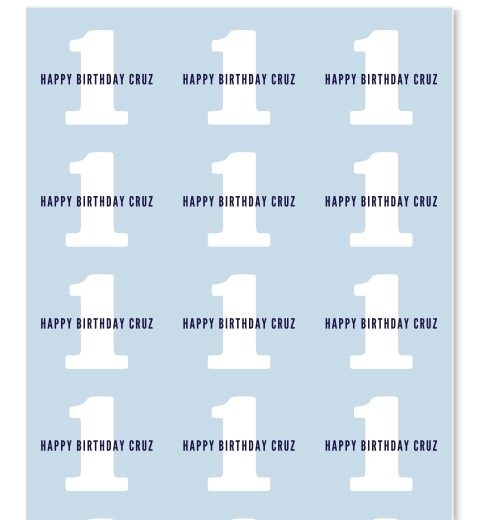 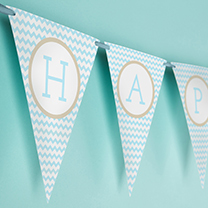 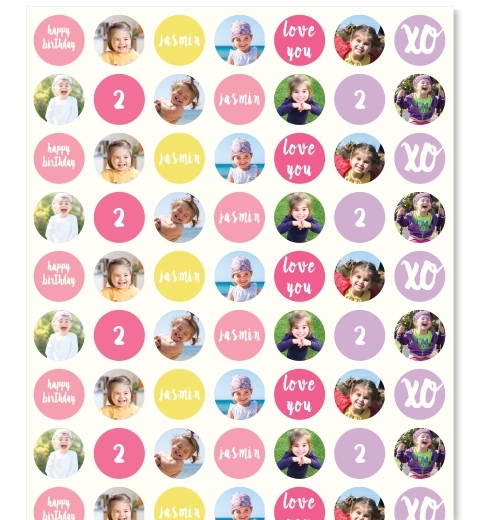 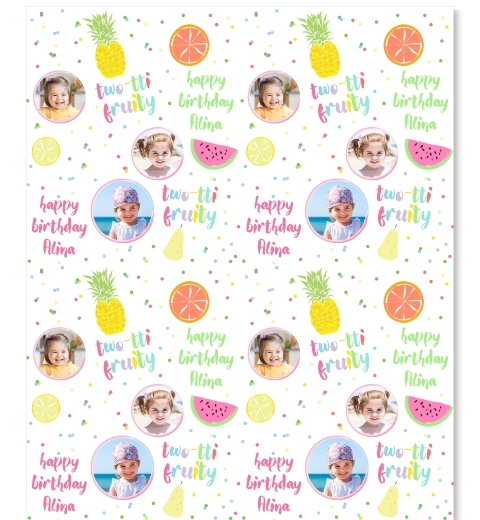 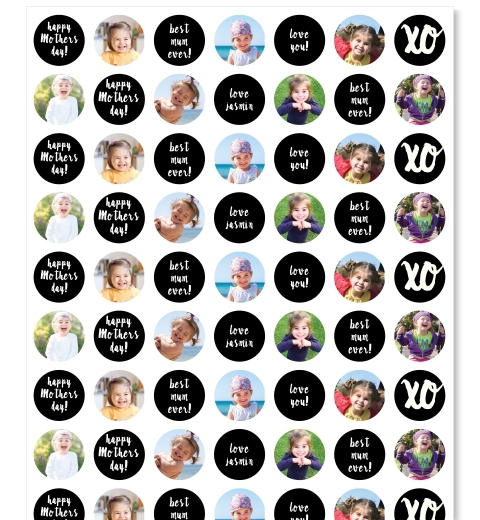 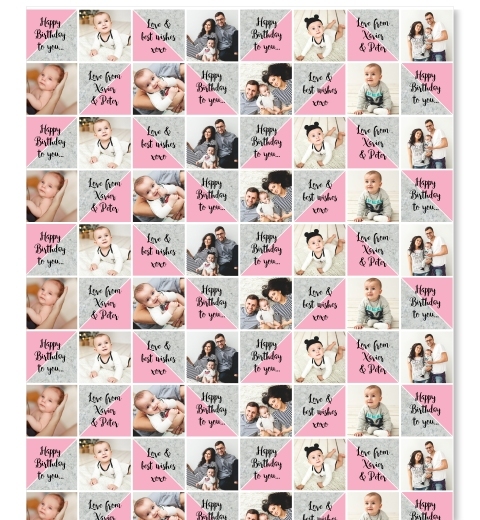 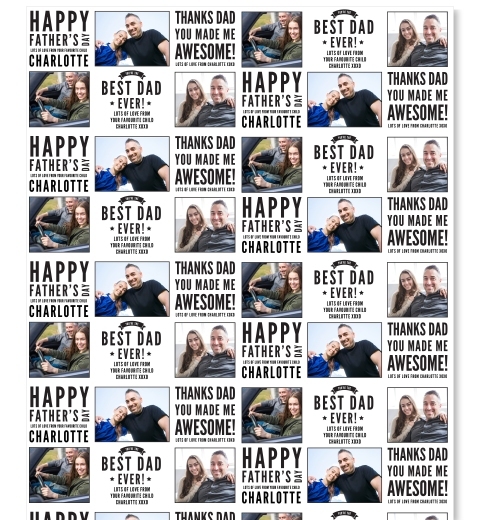 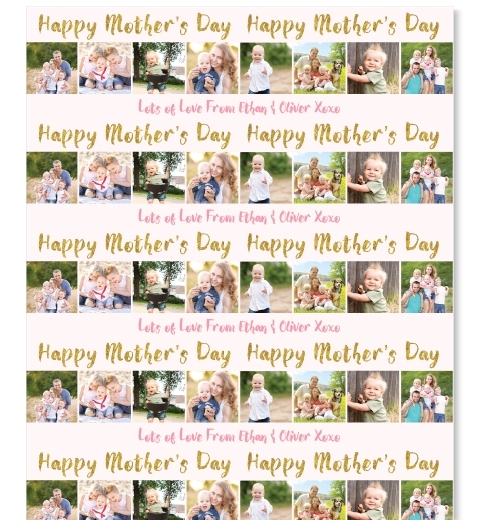 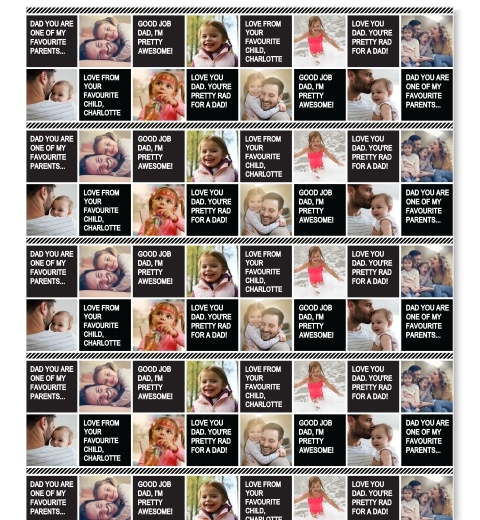 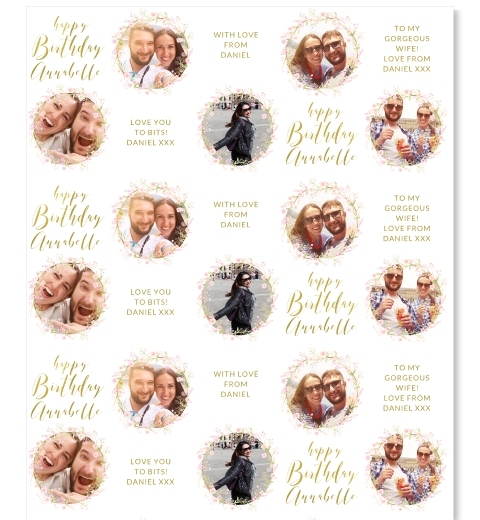 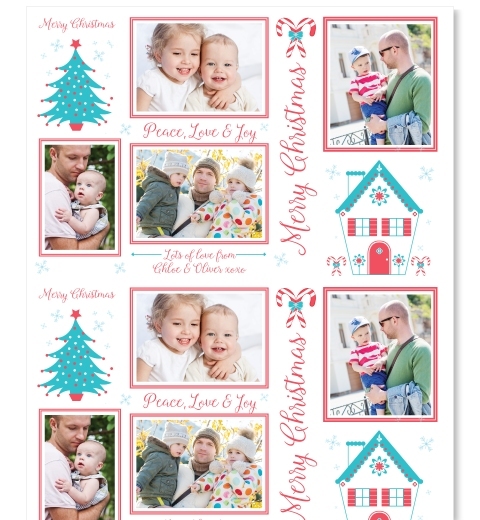 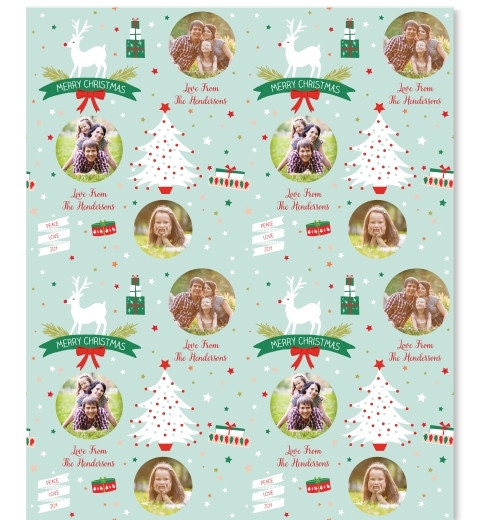 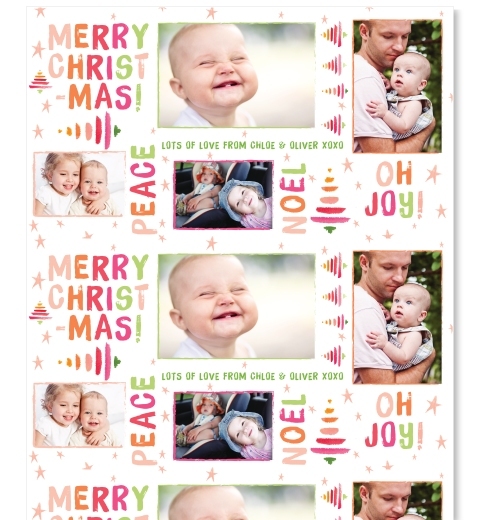 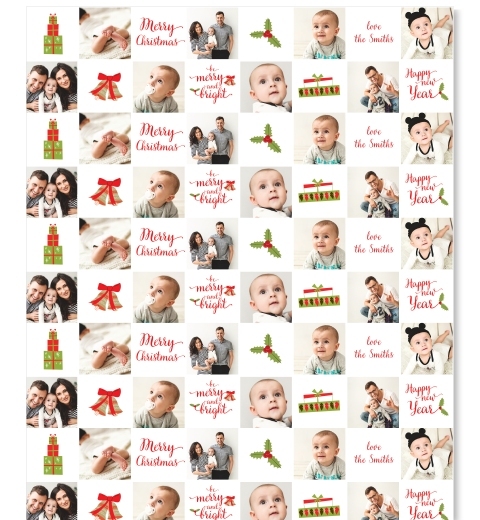 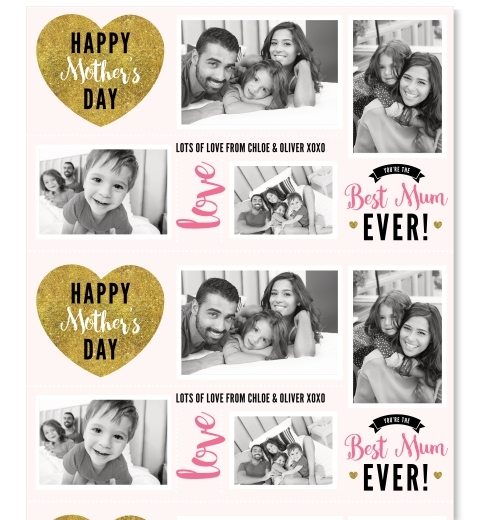 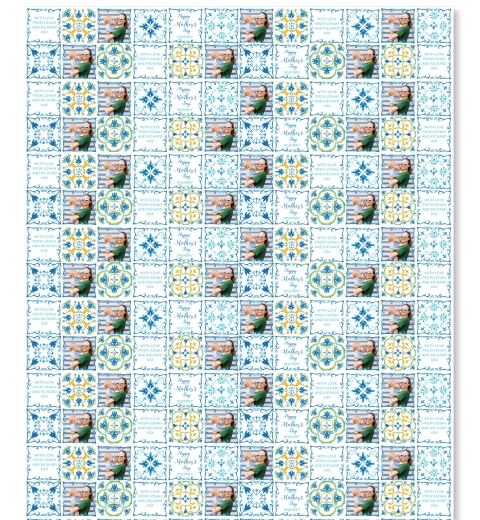 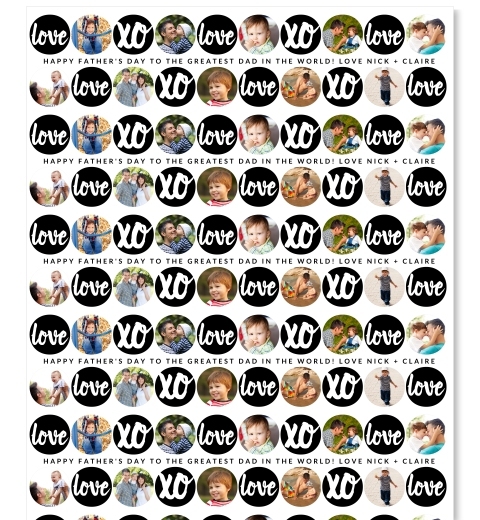 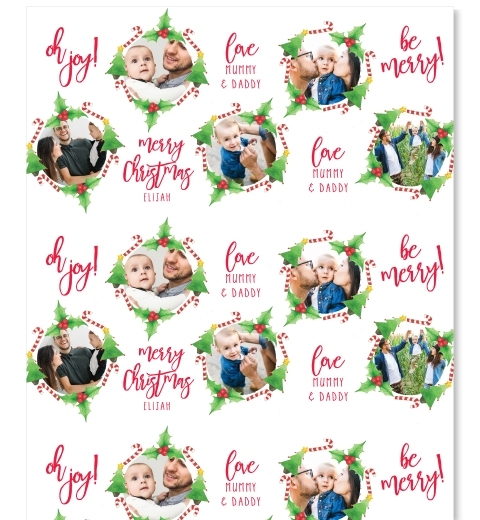 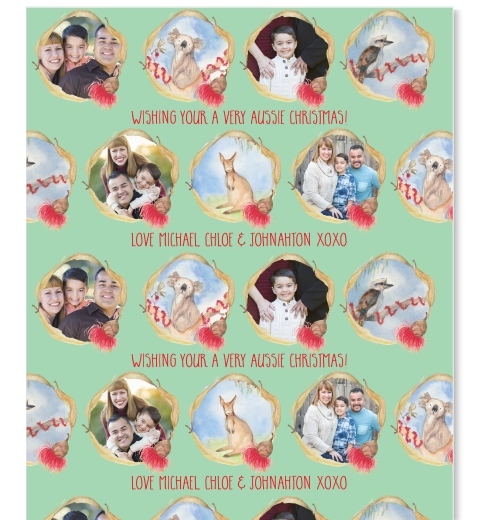 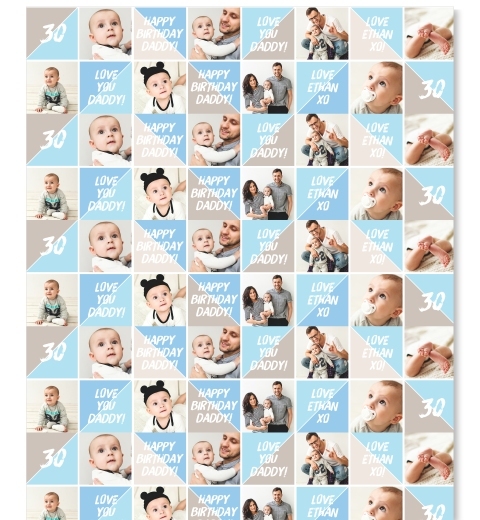 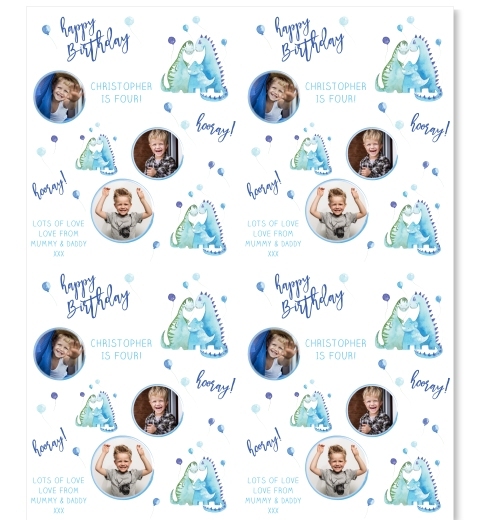 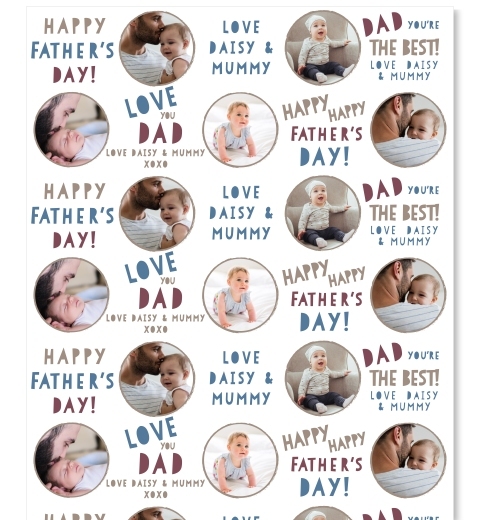 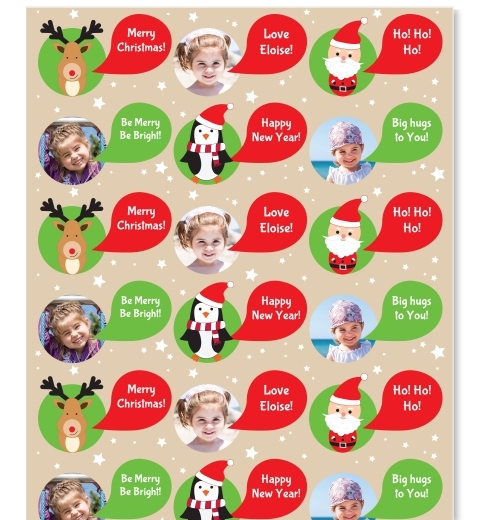 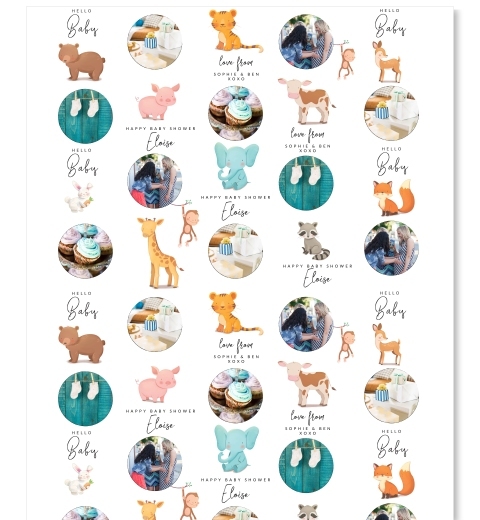 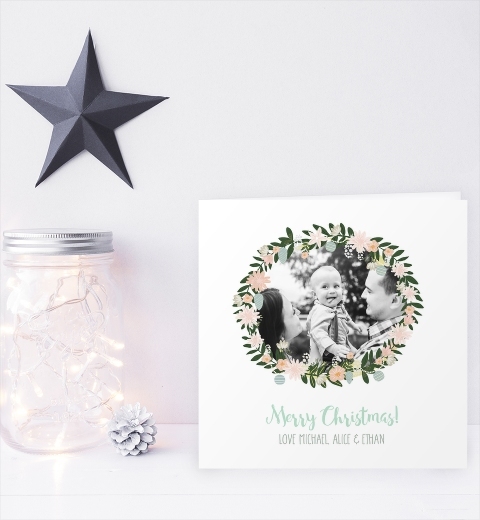 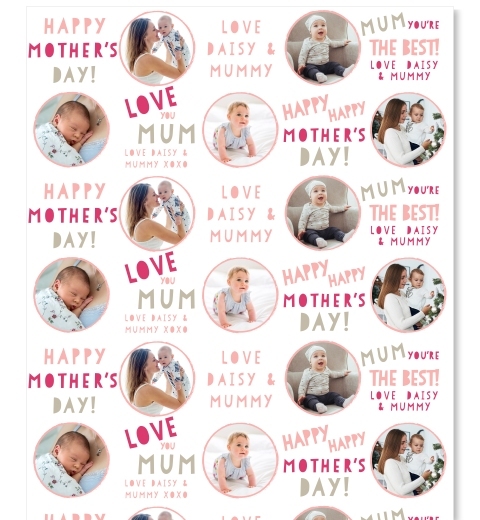 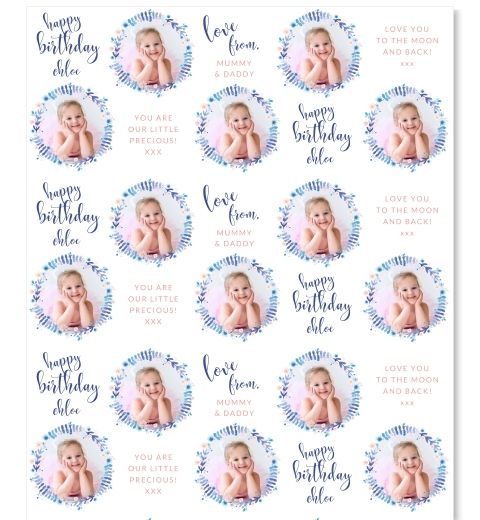 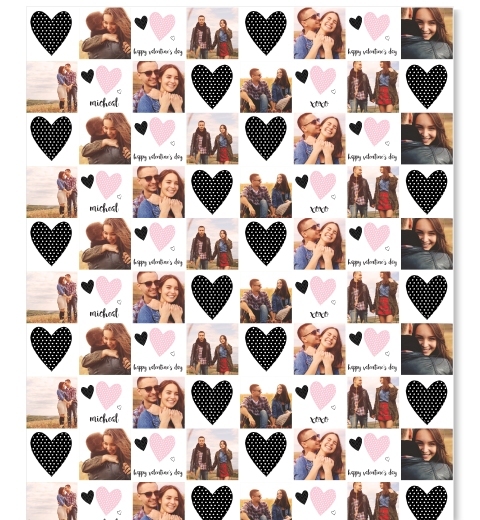 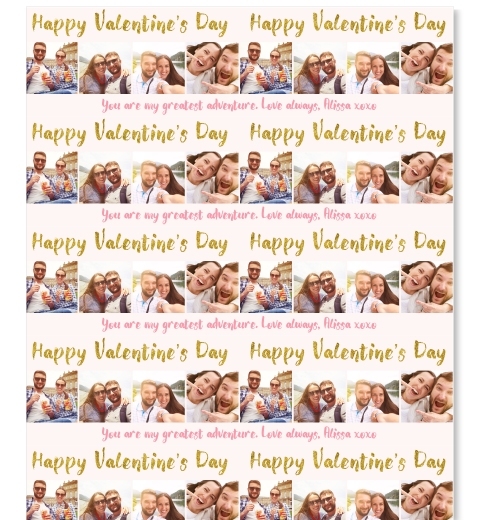 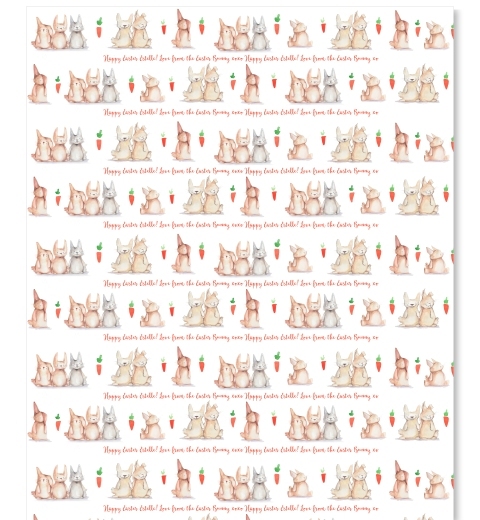 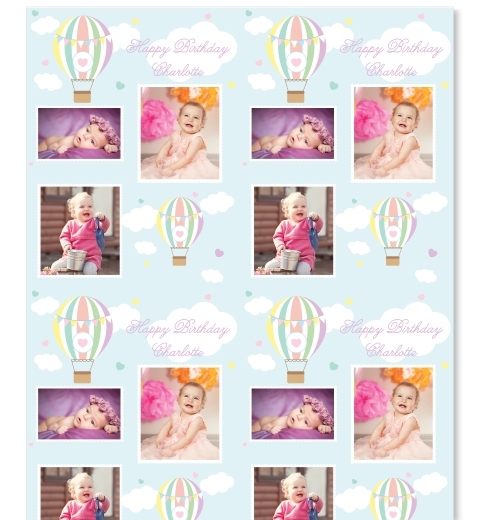 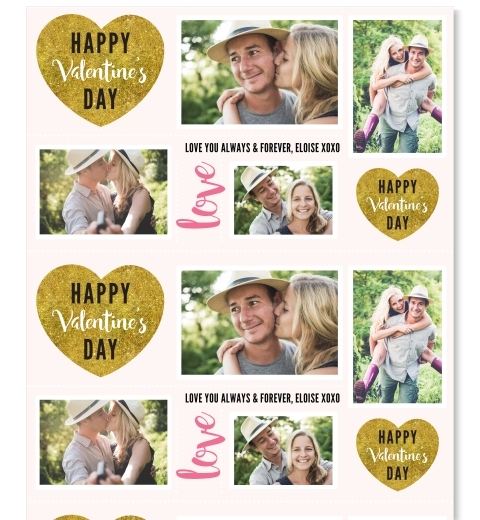 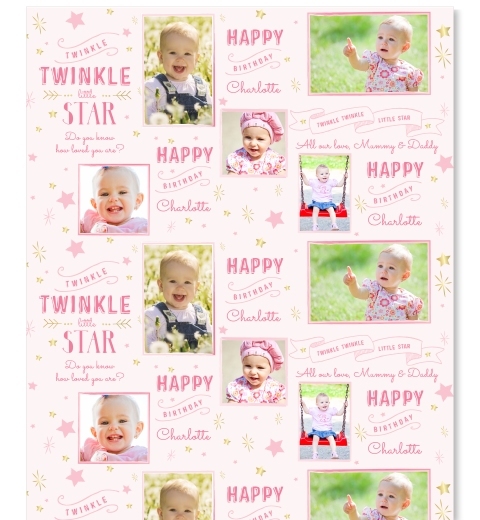 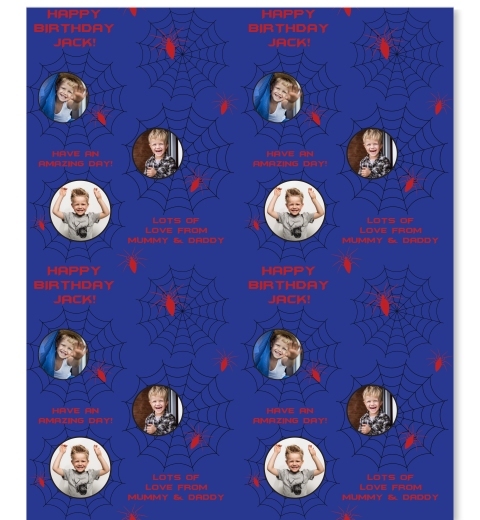 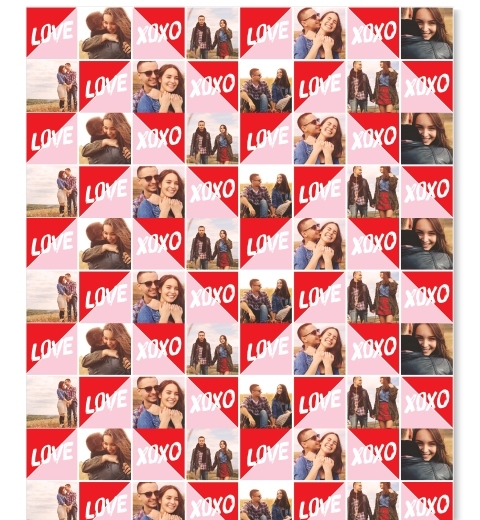 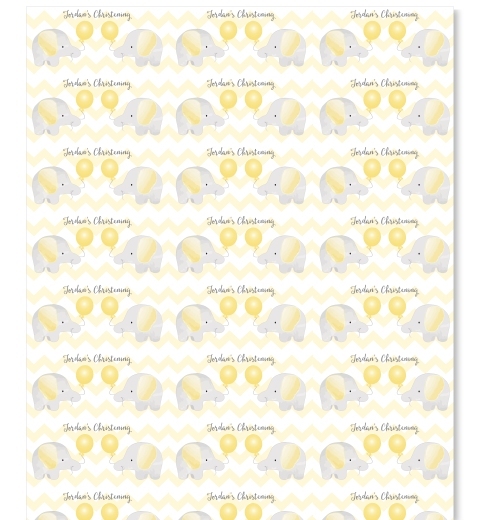 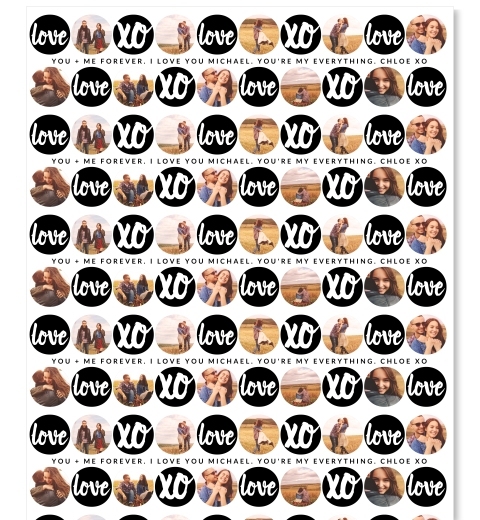 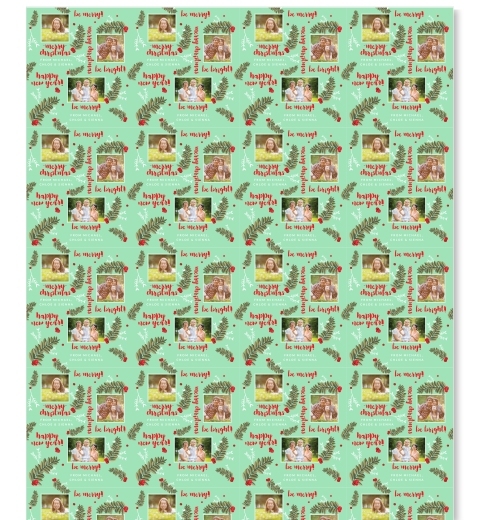 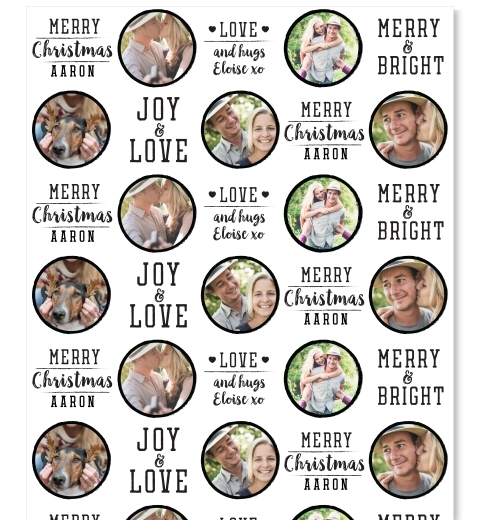 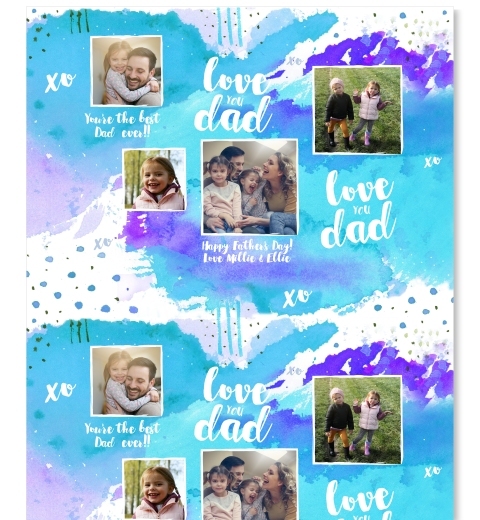 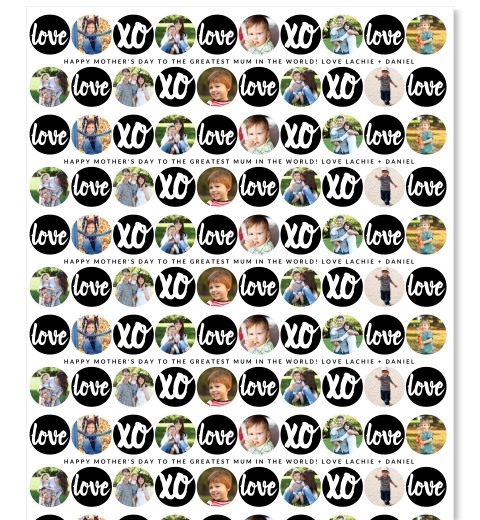 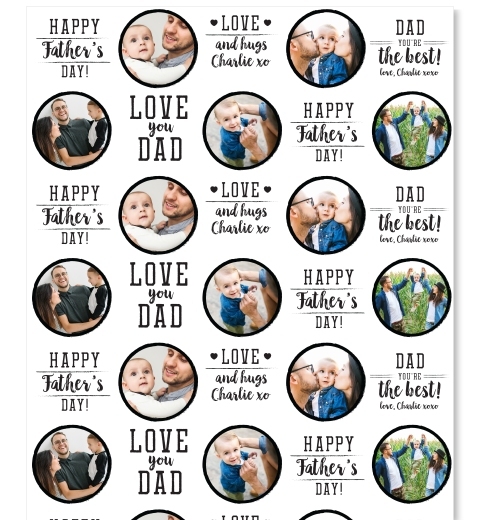 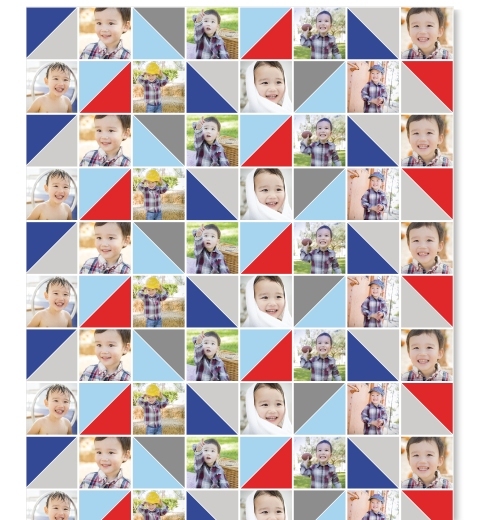 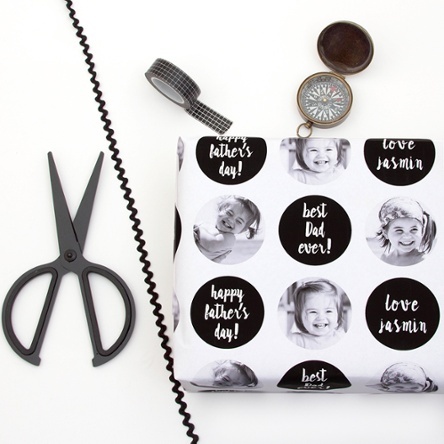 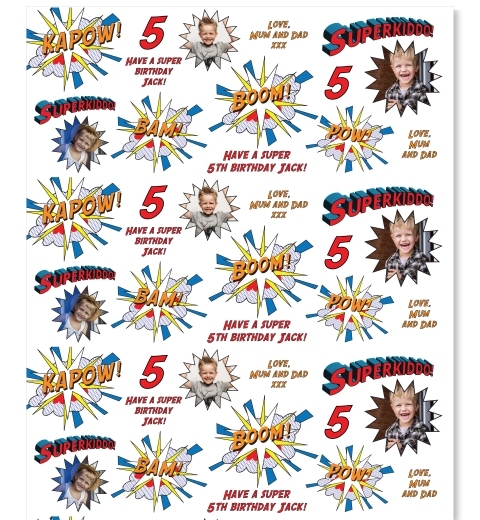 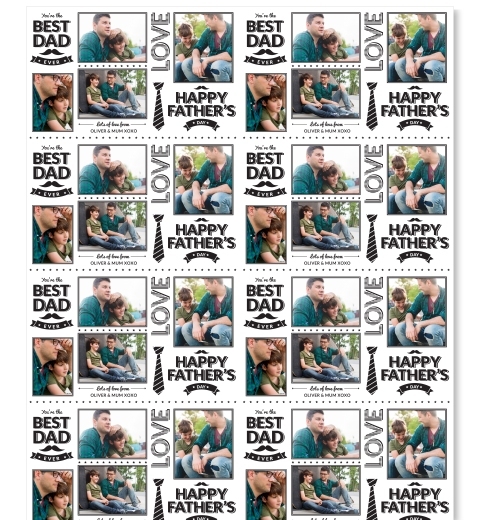 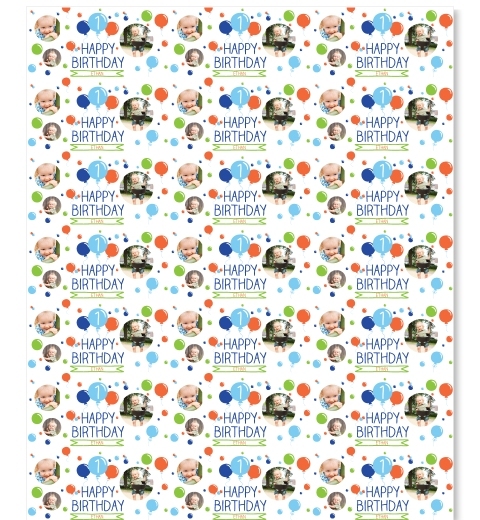 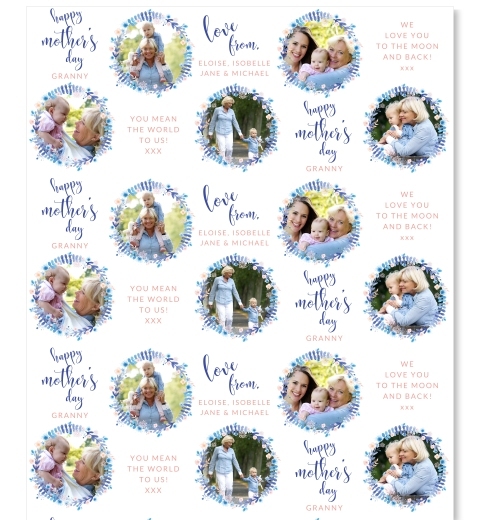 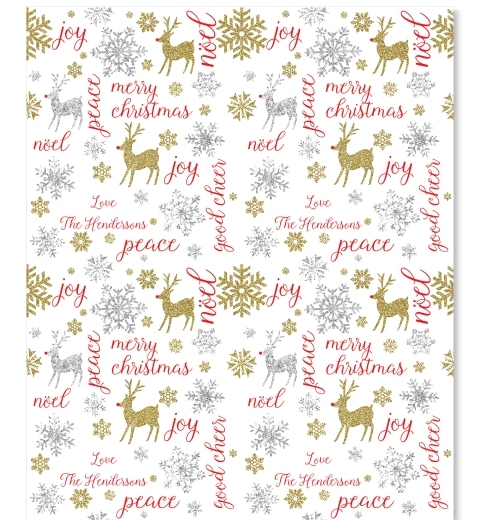 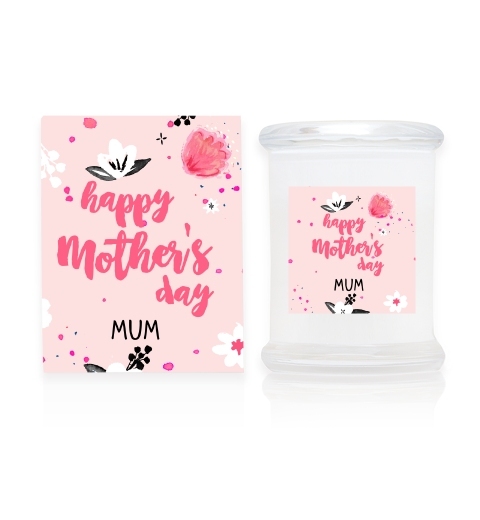 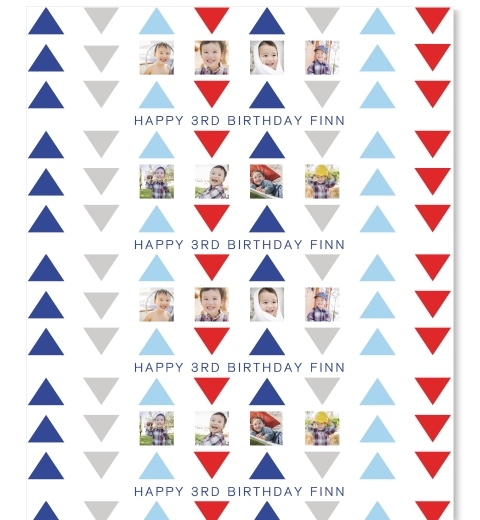 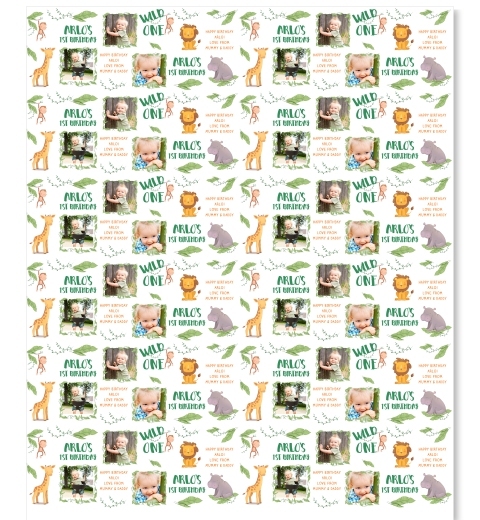 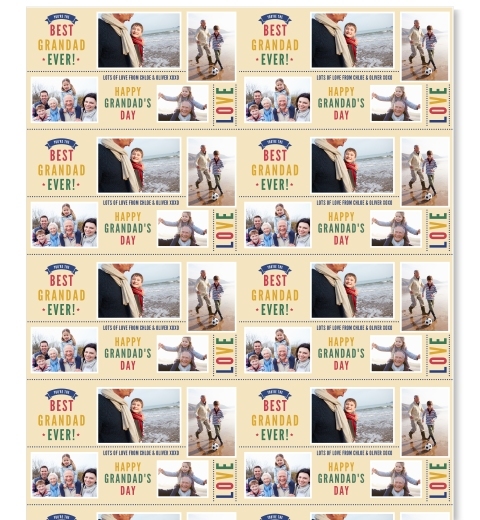 Get your very own custom wrapping paper using your design, photos and/or company logo. 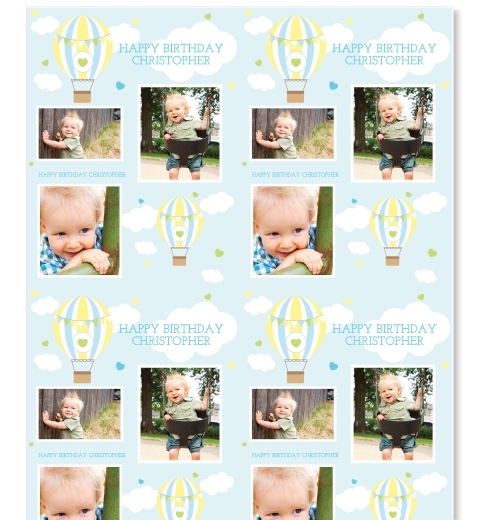 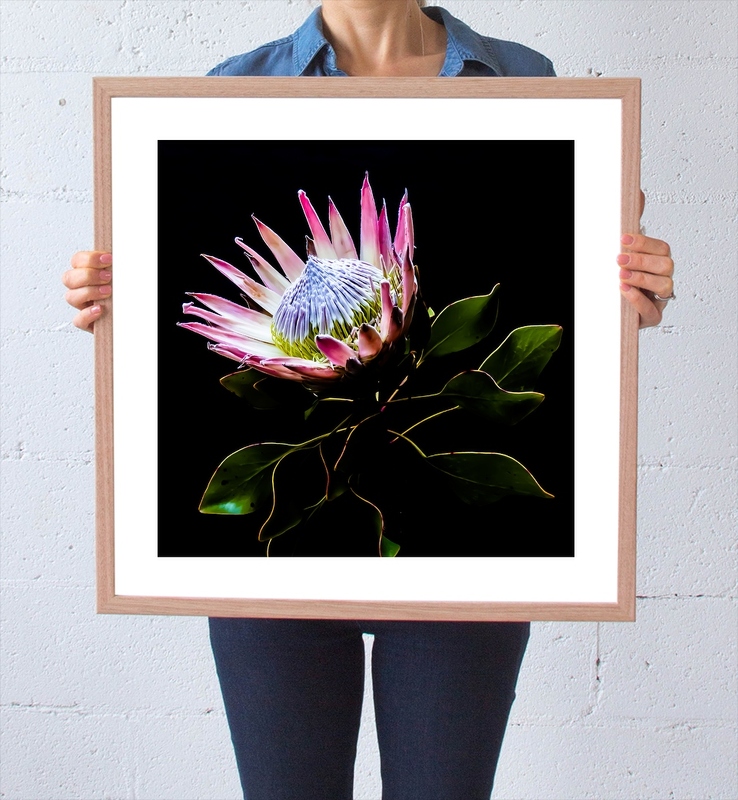 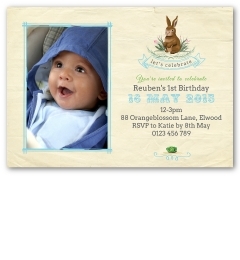 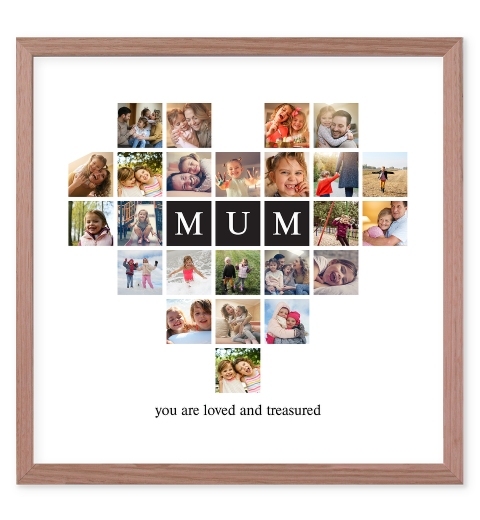 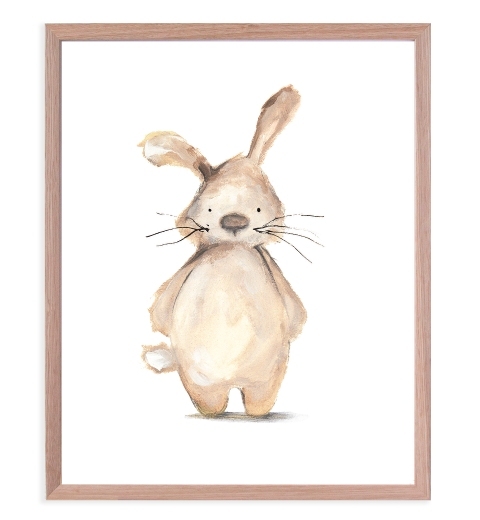 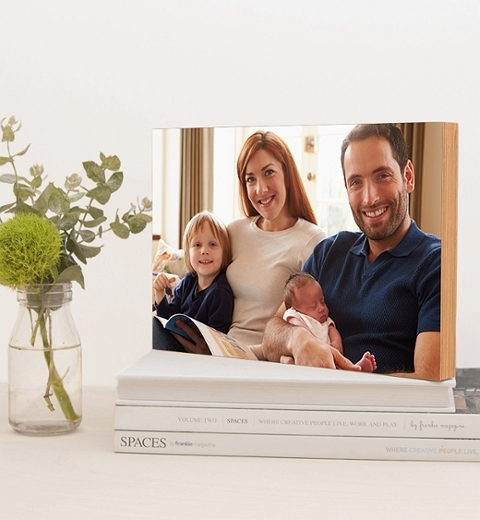 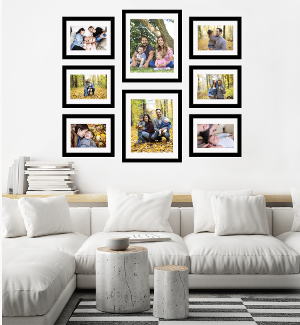 Simply upload your design or photo to see a live preview. 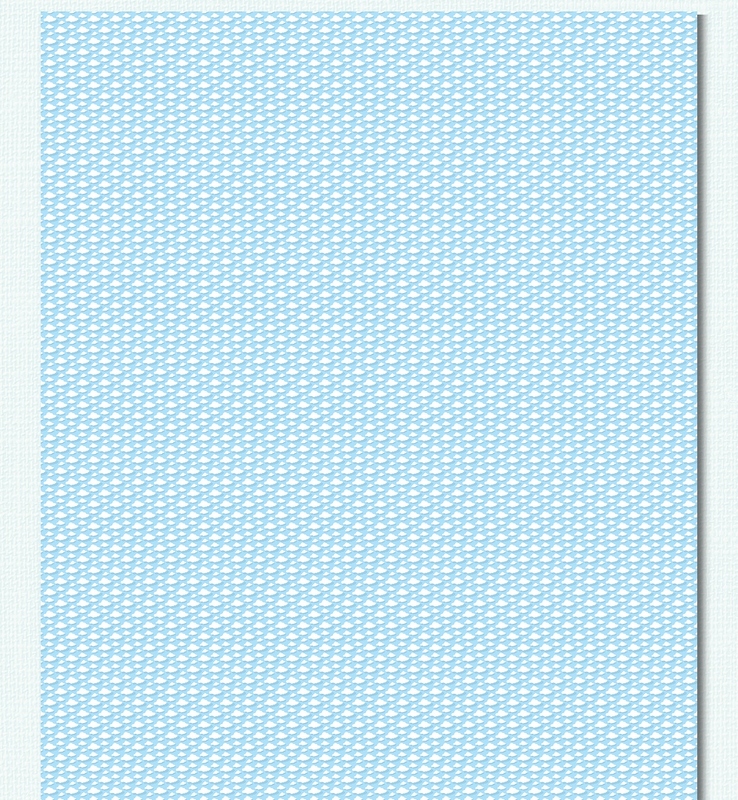 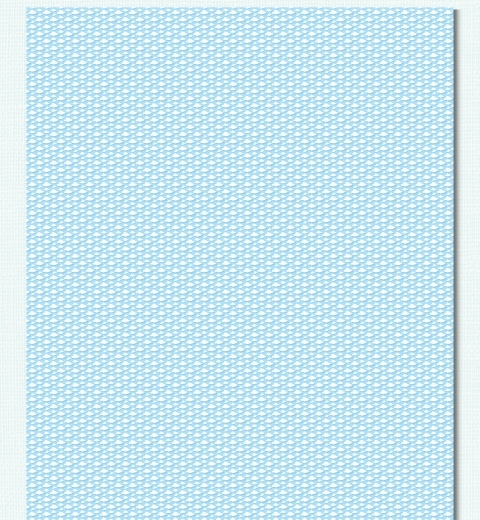 3mm of bleed exists on the right and left edges, a portion of this will not be printed. 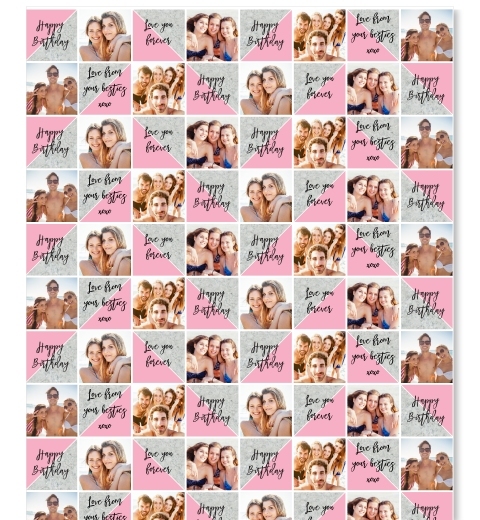 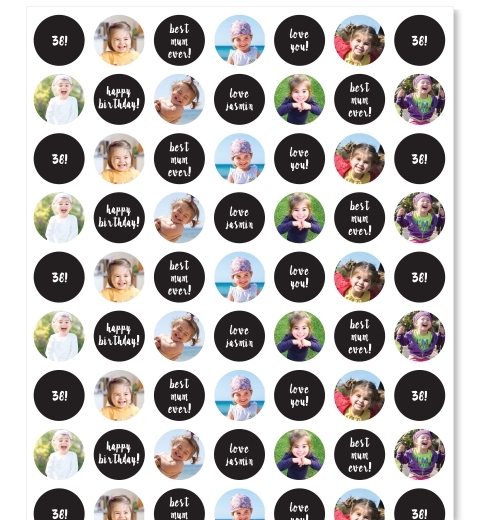 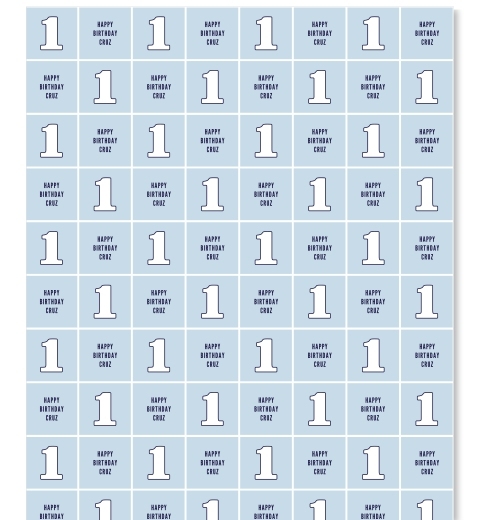 Your image can be any height, we recommend repeating every 10 - 20cm.